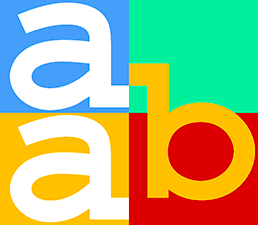 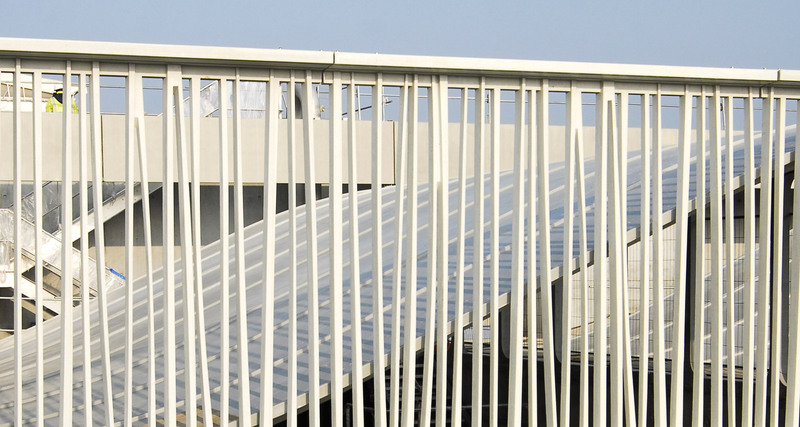 AAB is specialized in the production, in its workshop, of complex prefabricated elements in UHPFRC. 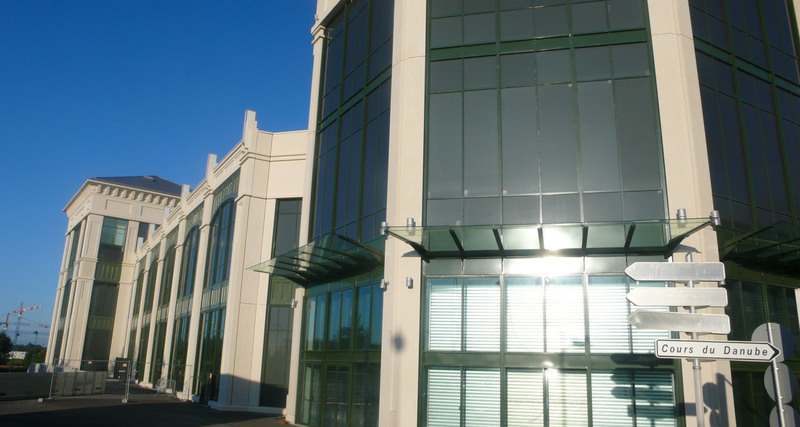 Our experts also assist our clients, from mould design through to element fastening methods, with a view to optimal efficiency. 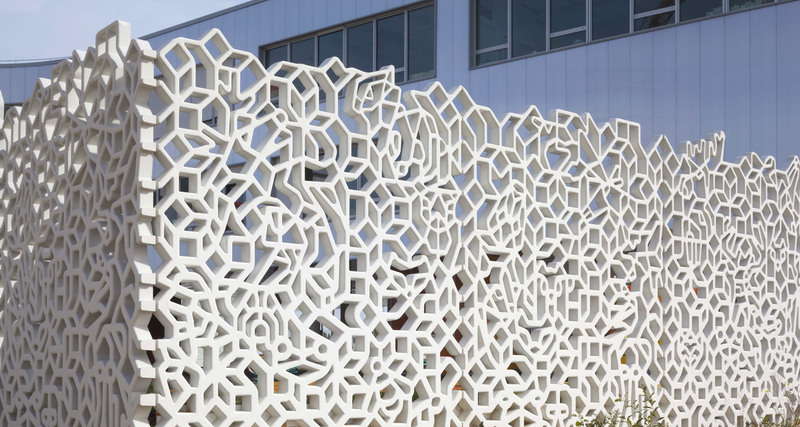 72 thin lattices, 2.90 x 2.50 / formed of elementary strands of trapezoidal section 30 x 50 x 50 high. 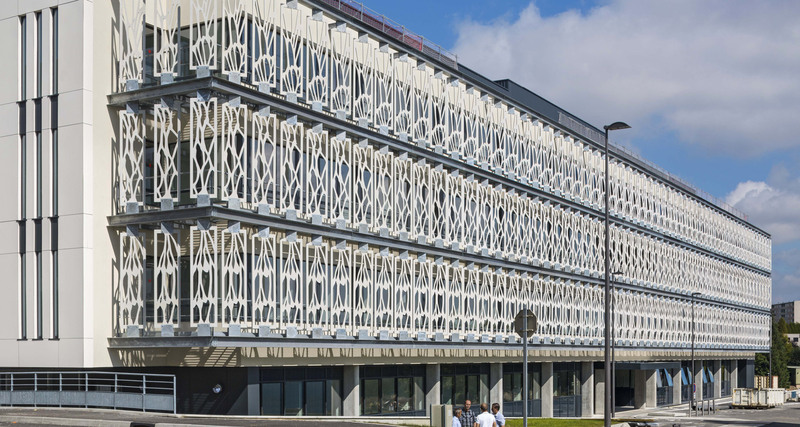 Lattices in BSI® (special industrial concrete) with steel fibres, the only “concrete” solution suitable for the nonlinear shape of the strands, due to the absence of reinforcing bars in this type of concrete. 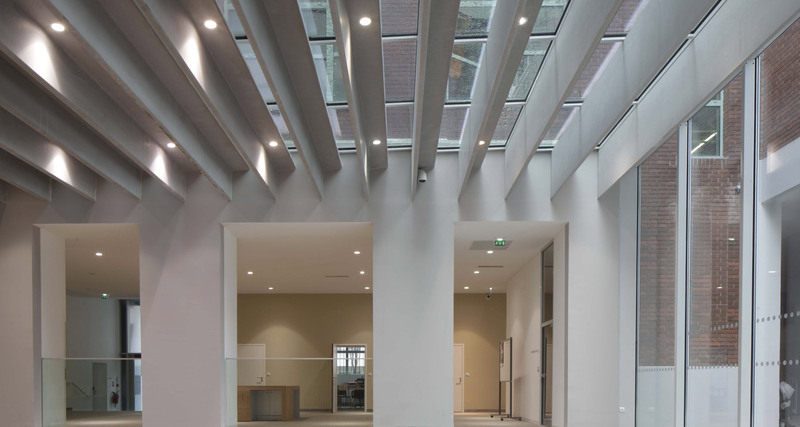 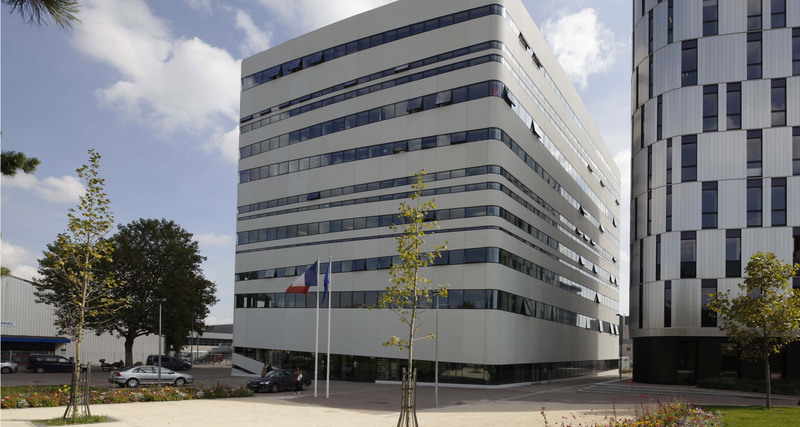 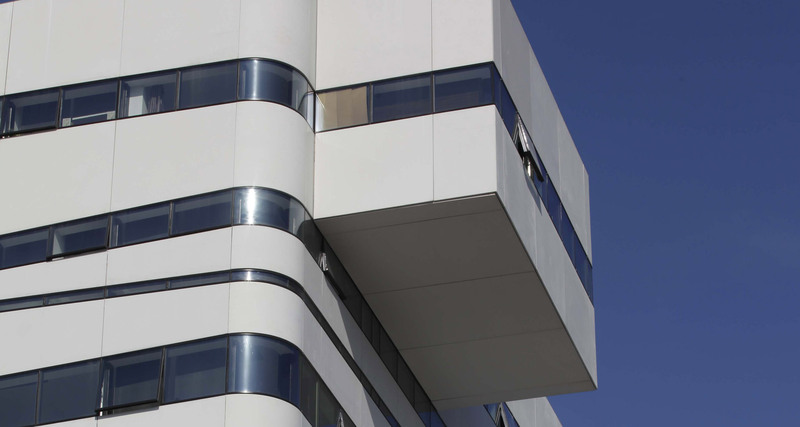 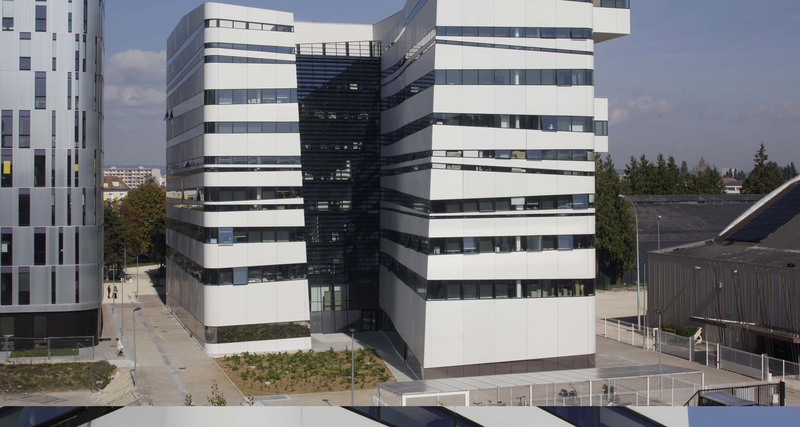 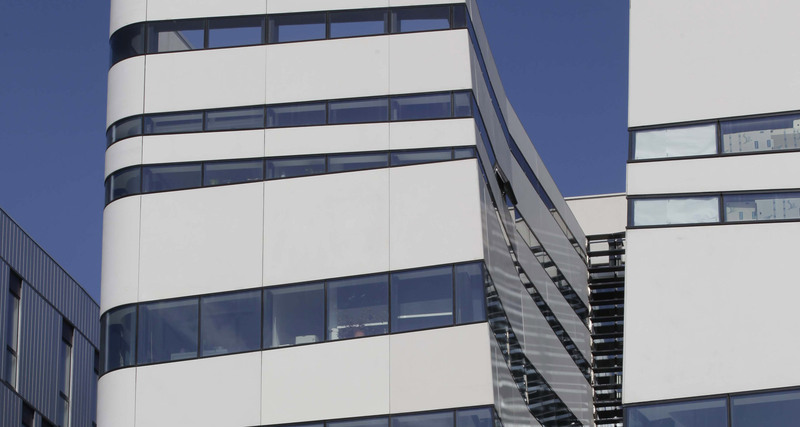 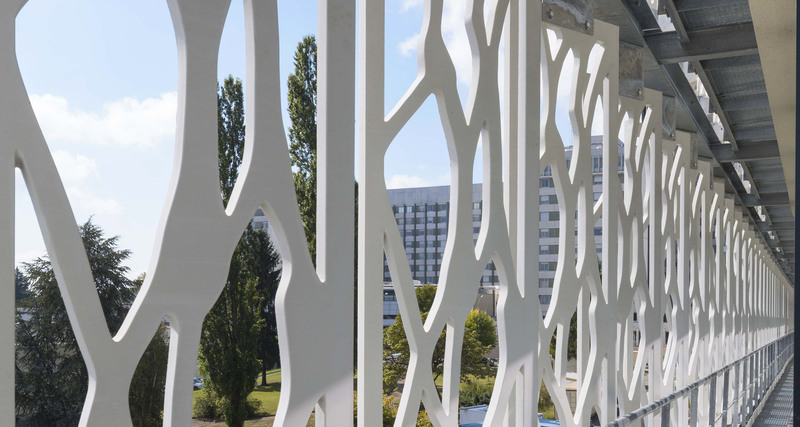 Production of more than 1,050 cladding sheets in white BSI® with synthetic fibres for the facade of the new Dijon Education Office. 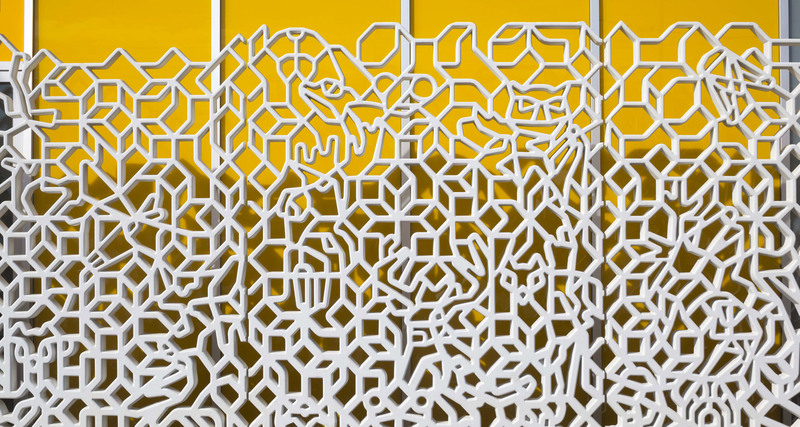 The panel dimensions vary in thickness (from 35mm to 60mm) depending on their length and width. 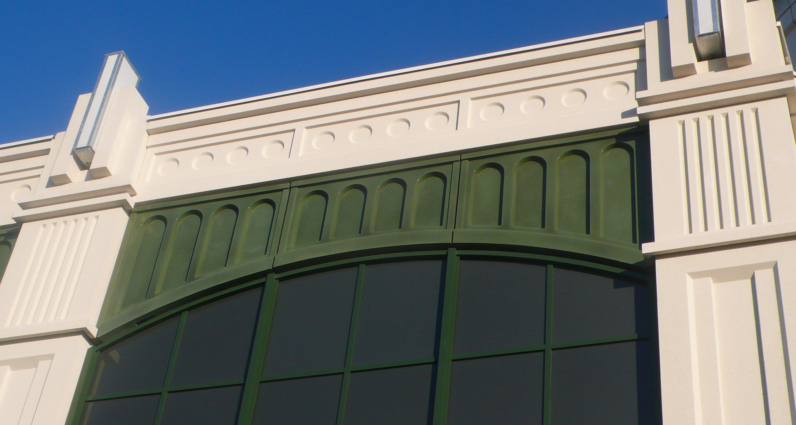 There are no identical panels. 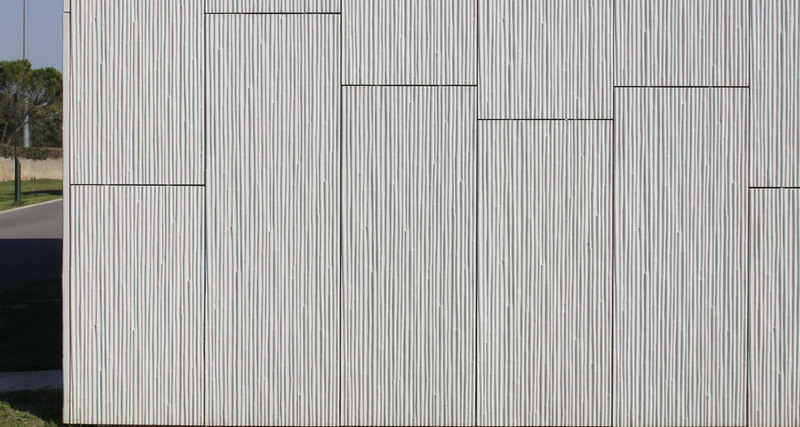 38 cladding panels, 3.60 x 1.40 x 0.09. 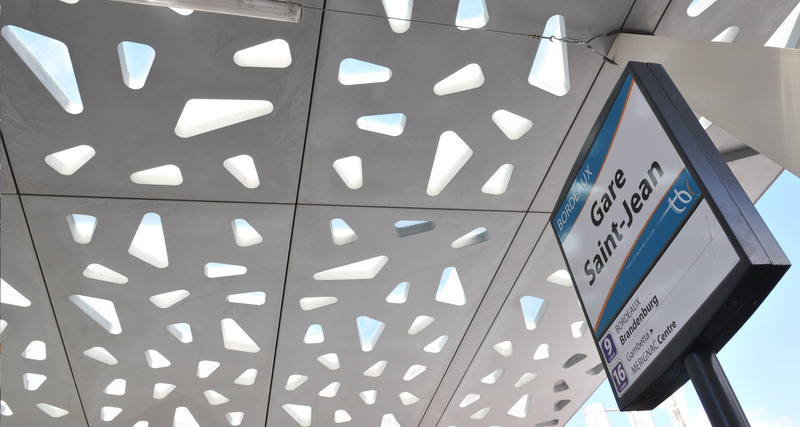 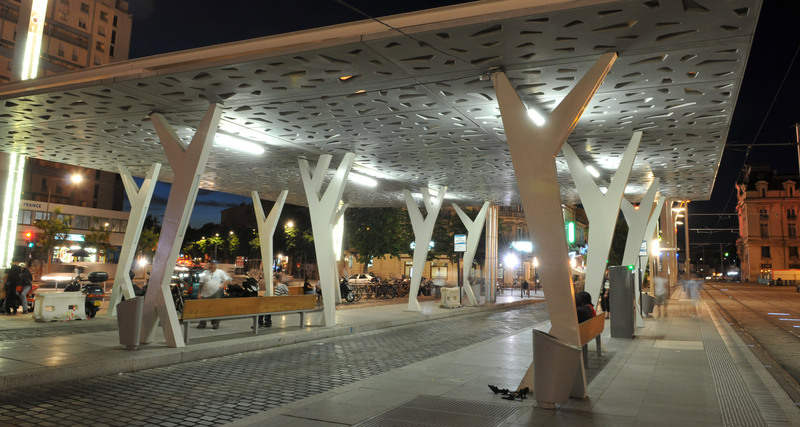 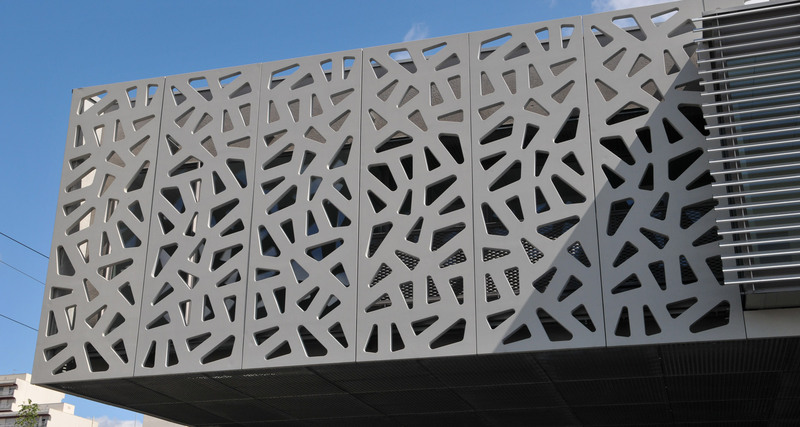 These perforated cladding panels are visible on both sides. 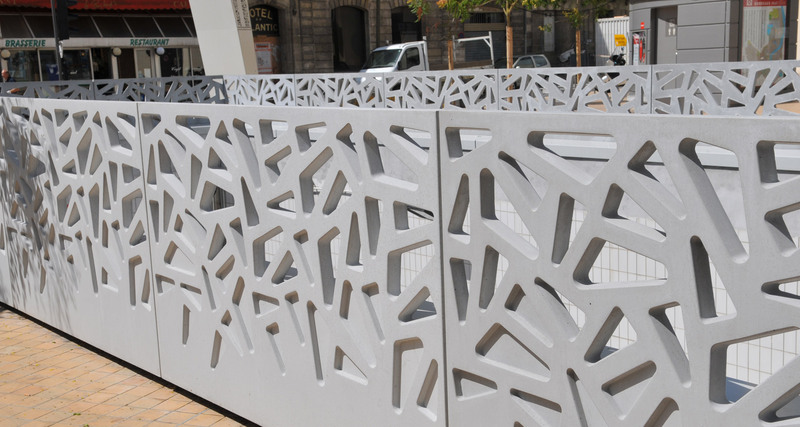 The material chosen was white steel-fibre BSI® given the impossibility of inserting reinforcing bars, and to reduce the elements’ thickness. 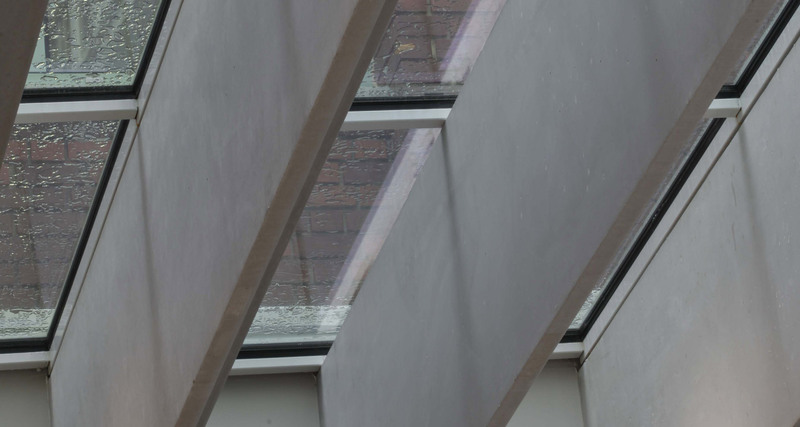 48 roofing panels for the hall, 4.60 x 1.60 x 0.09, incorporating blocks of glass 20mm thick. 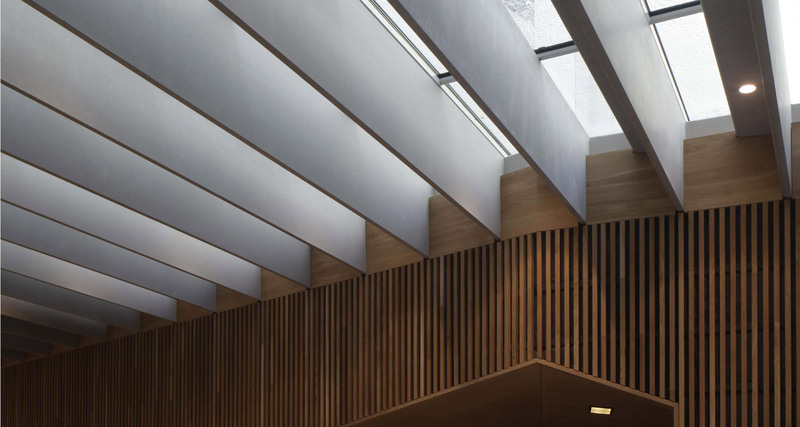 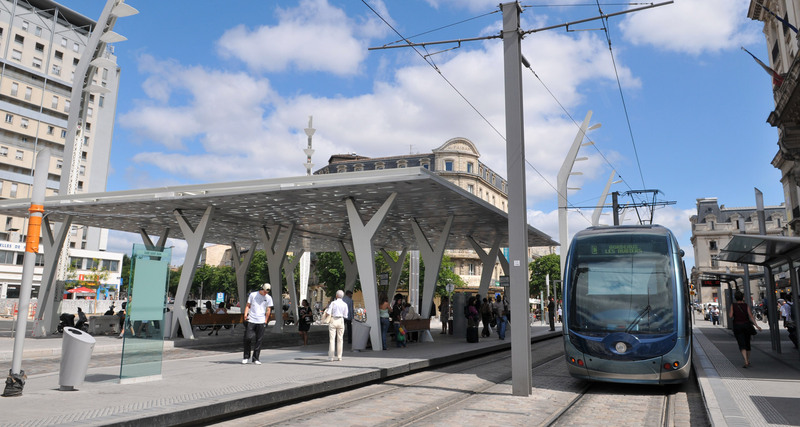 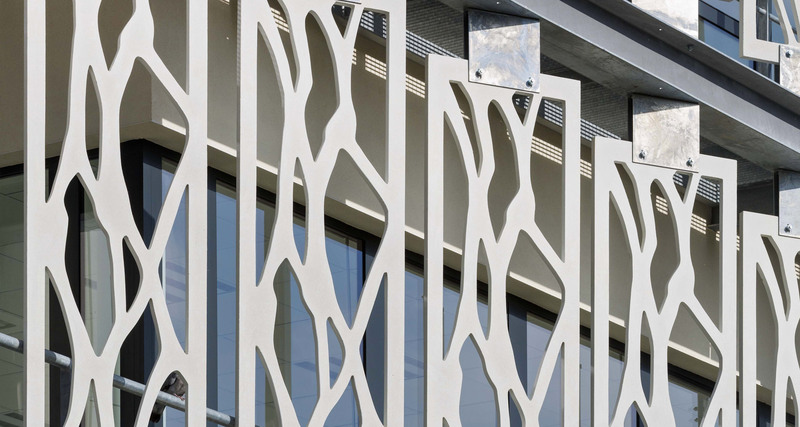 These panels in steel-fibre BSI® are suspended at 4 points. 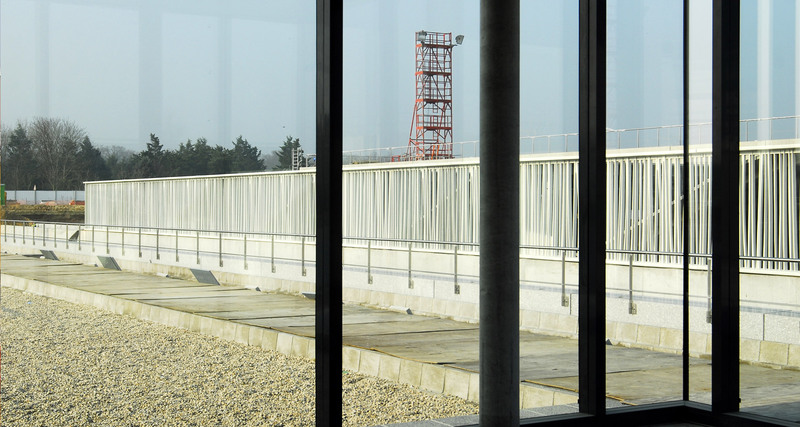 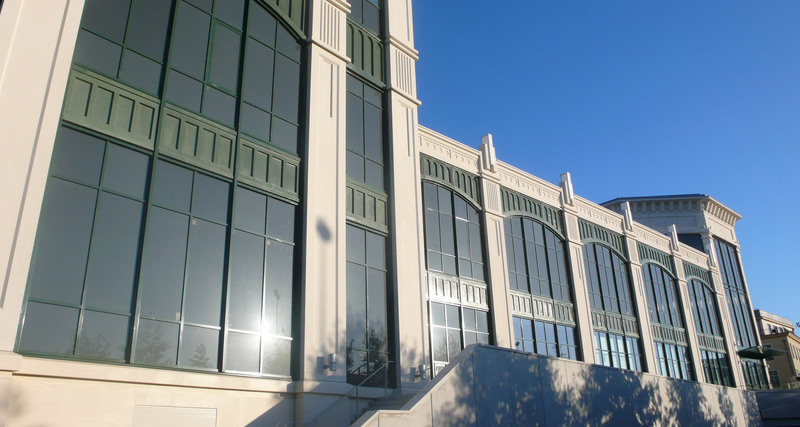 The BSI® material was chosen for its watertightness, the absence of reinforcing bars, and its mechanical properties. 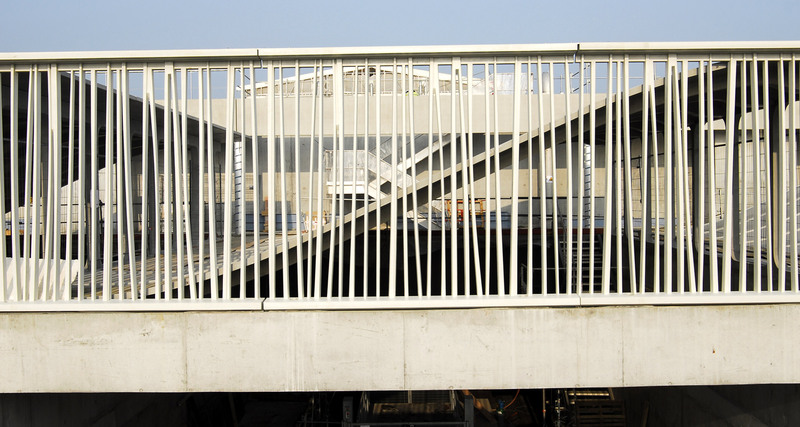 92 guard rails, 1.80 x 1.40 x 0.045. 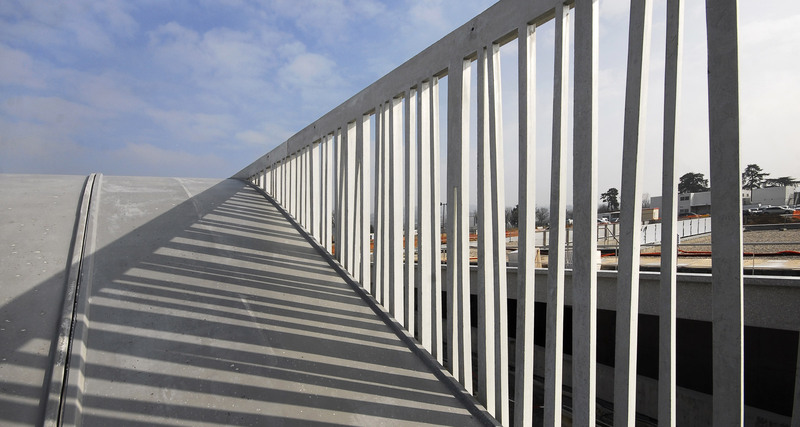 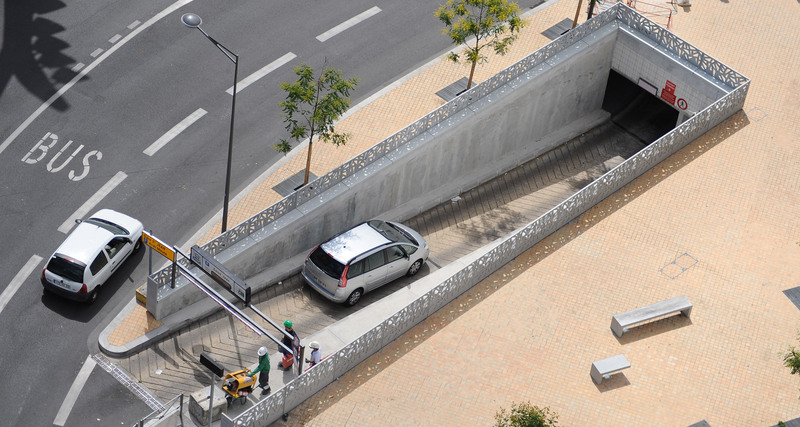 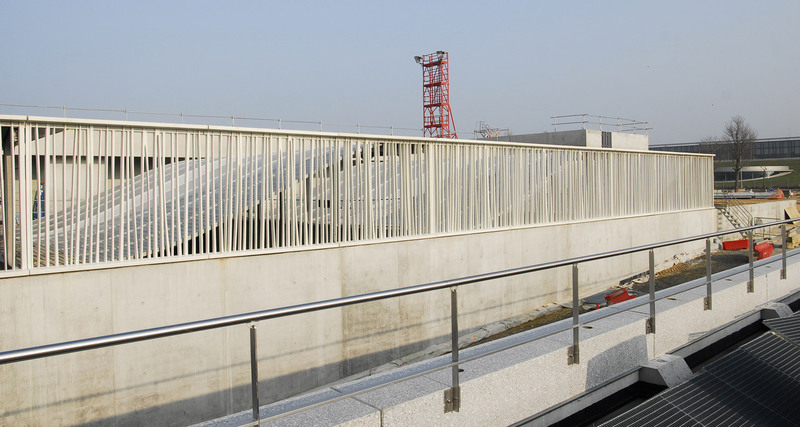 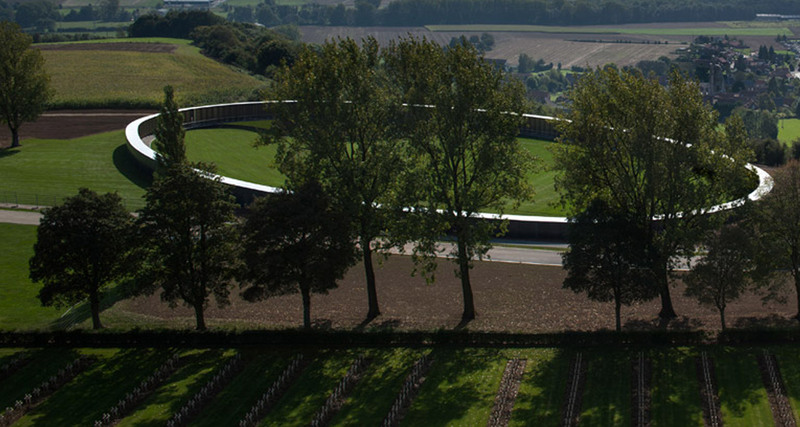 These guard rails were produced in steel-fibre BSI®. 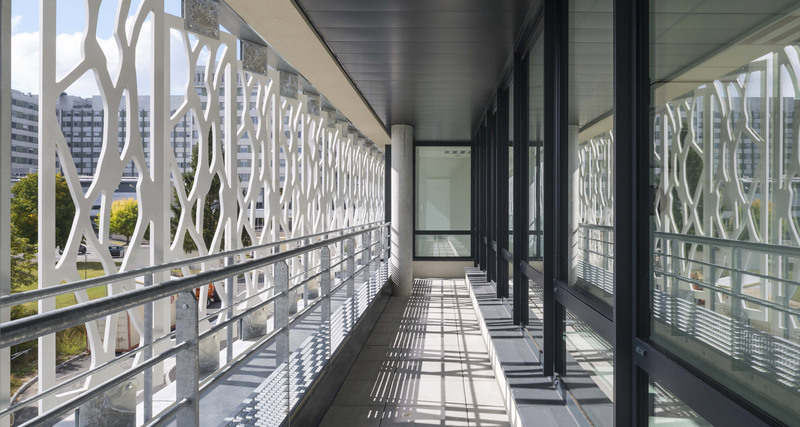 The resilience and watertightness of this material, as well as the impossibility of inserting reinforcing bars, determined the choice of BSI®. 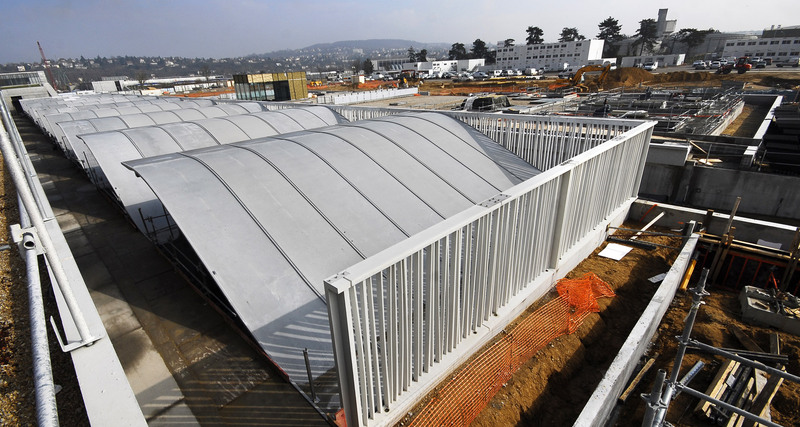 Construction of a fence in white BSI® around a school complex and a sports room. 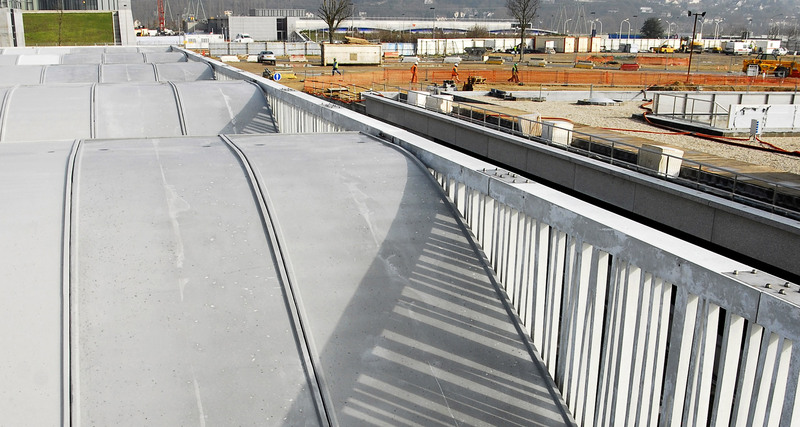 At the base of the panel, execution of a heel 10cm high and 20cm long in order to fasten the panel to a reinforced concrete longitudinal member with 2×2 fastening rods. 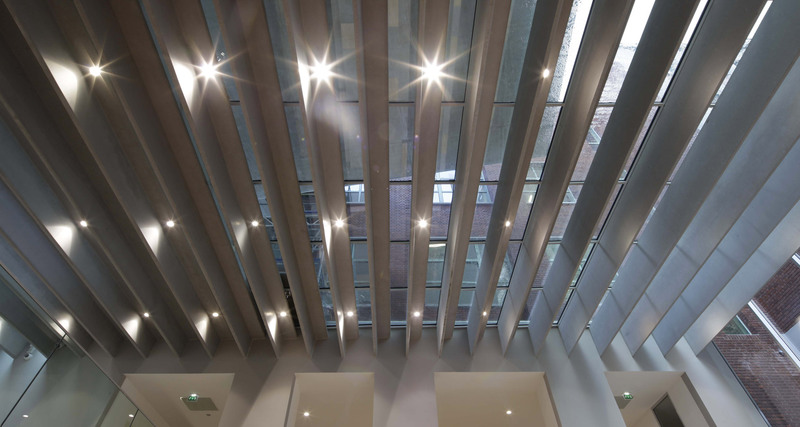 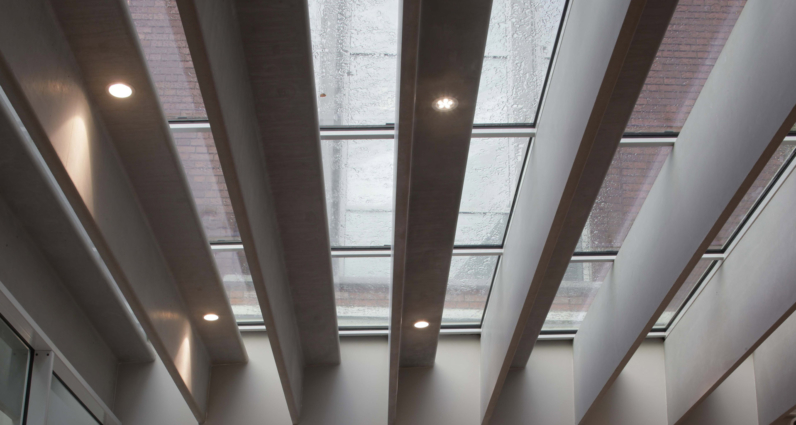 Execution of 32 T-beams in metallic grey BSI® to support a glass roof. 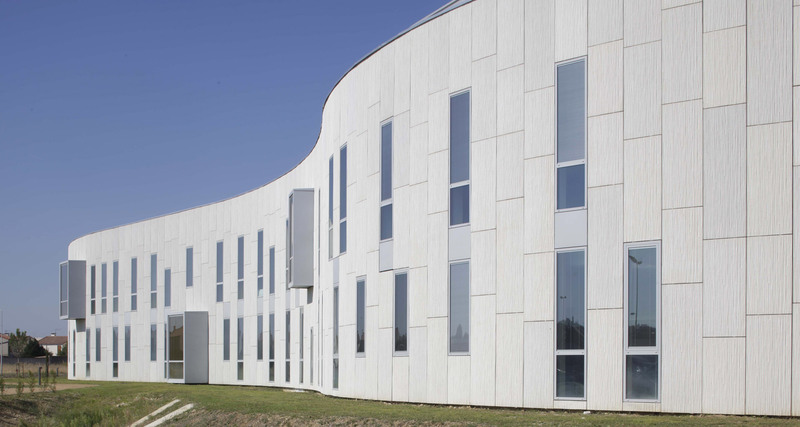 Production of BSI® panels for the Limoges biology section. 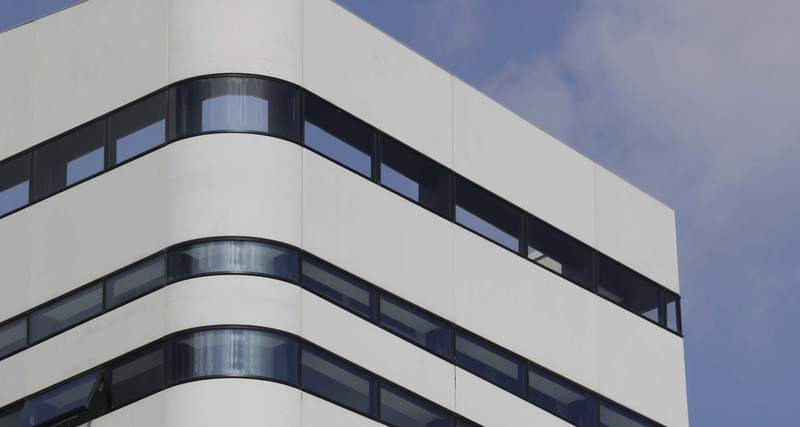 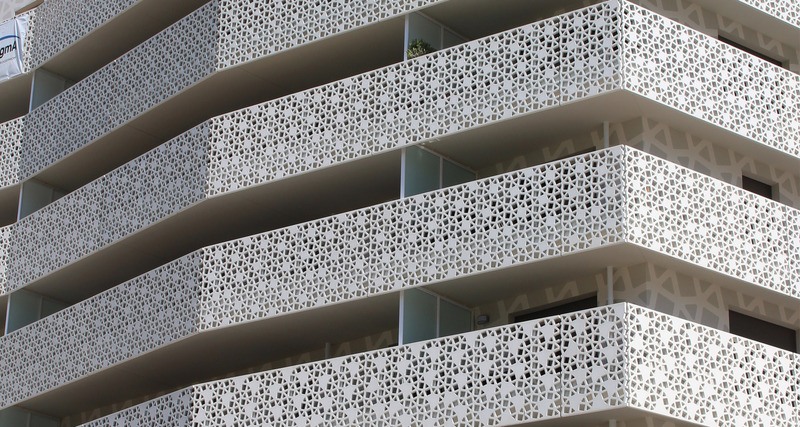 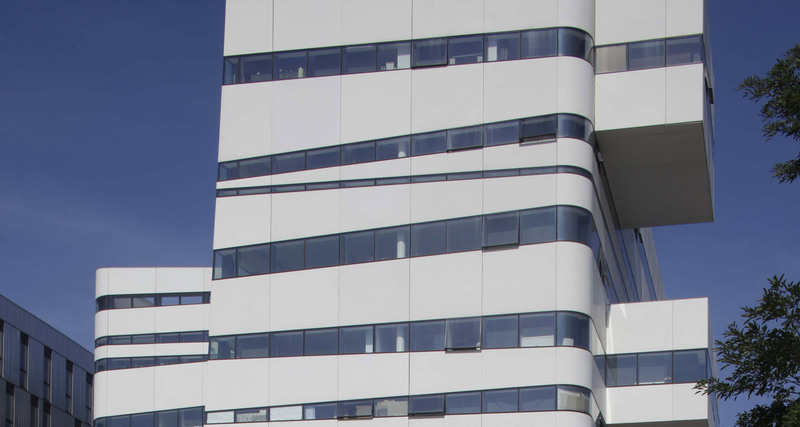 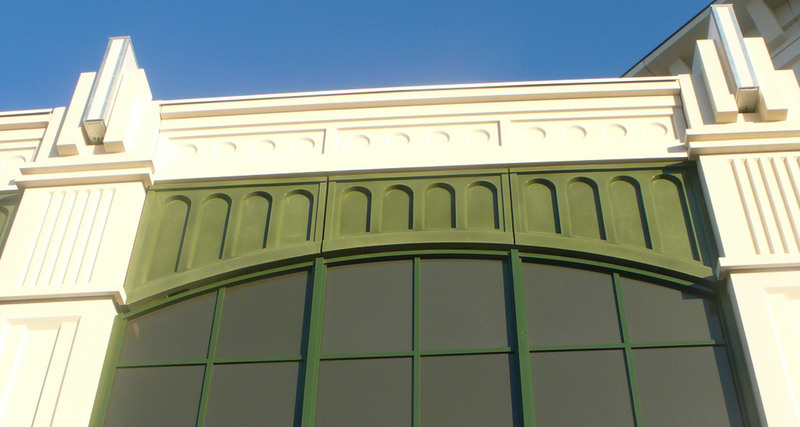 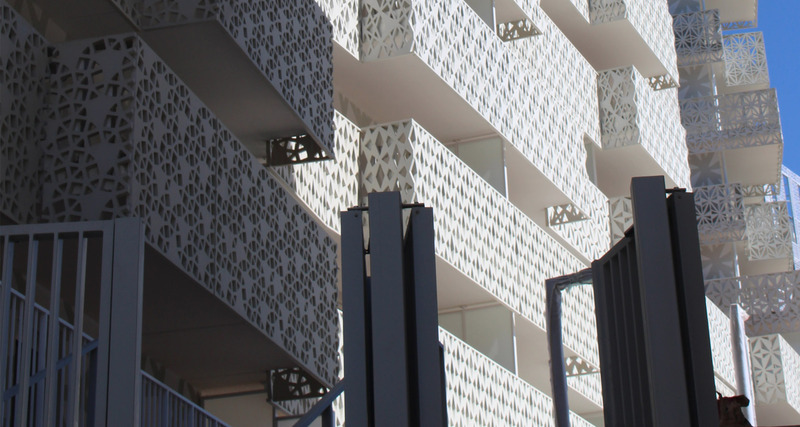 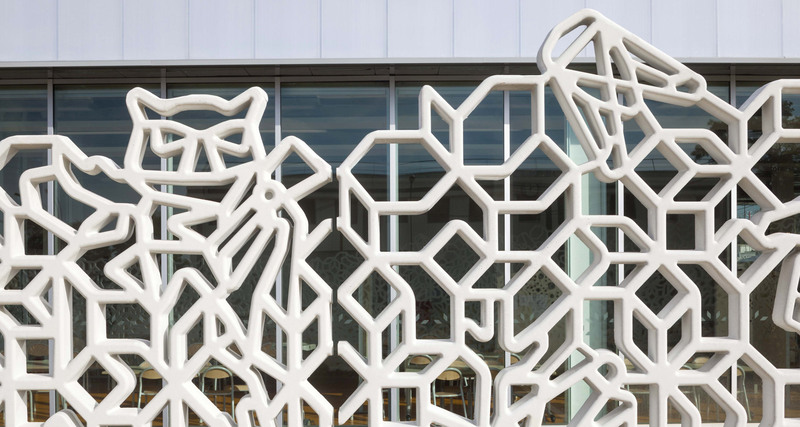 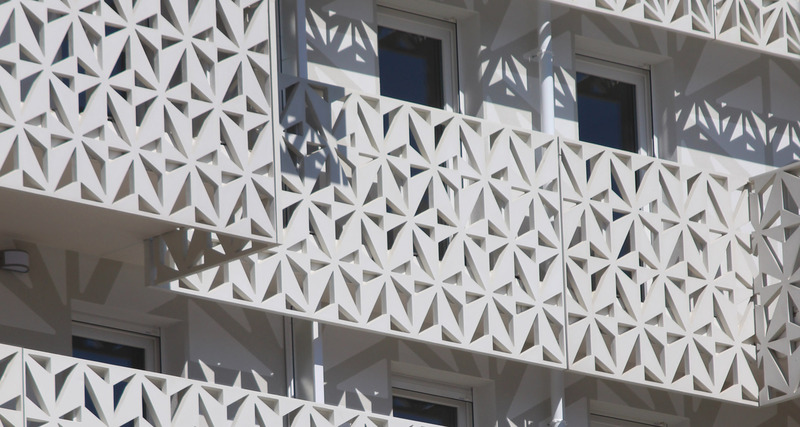 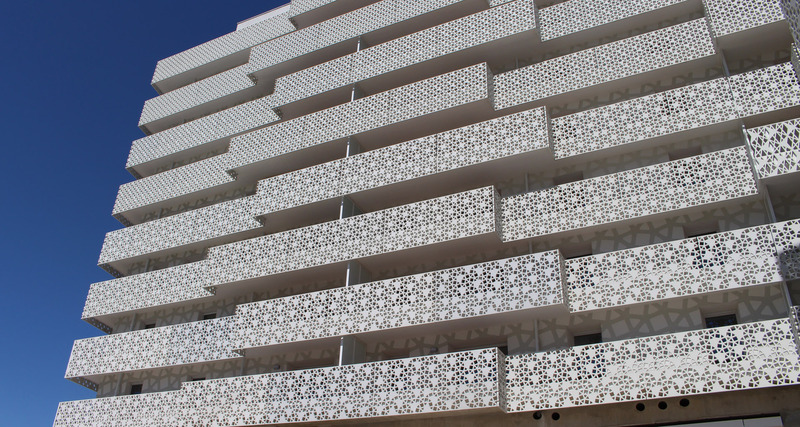 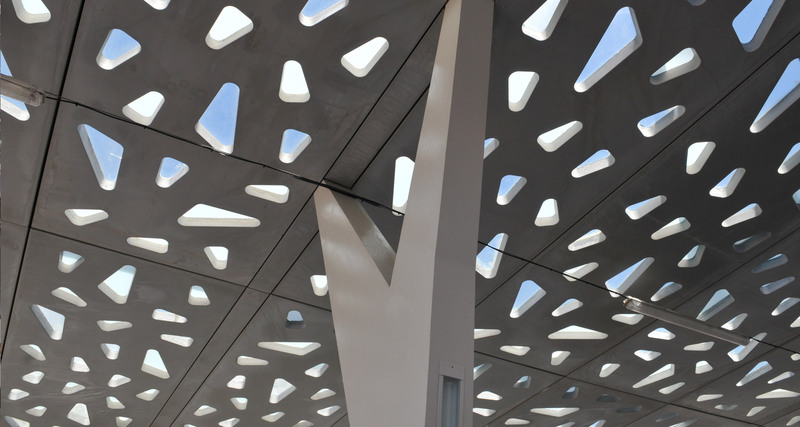 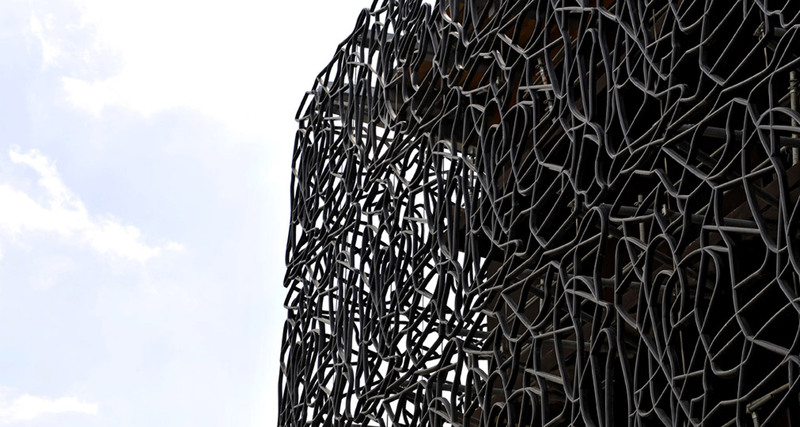 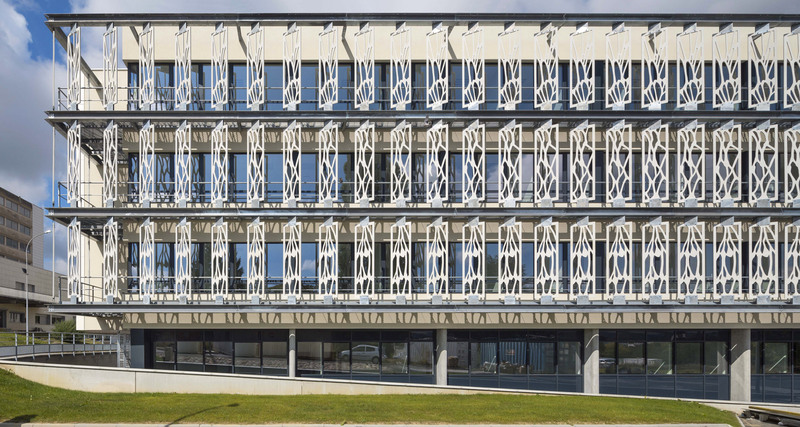 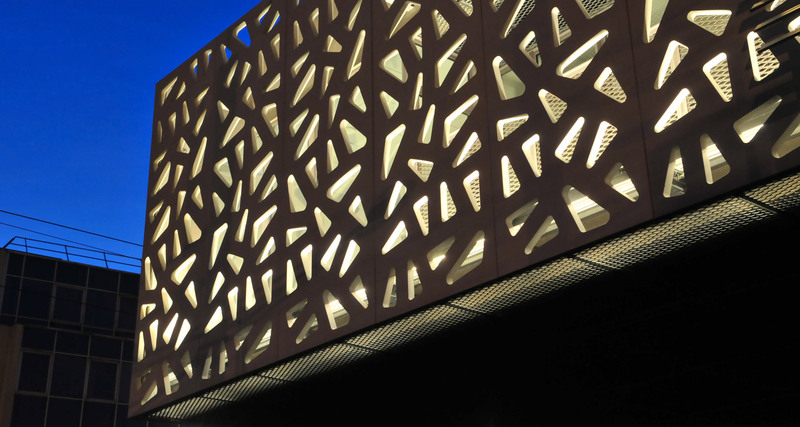 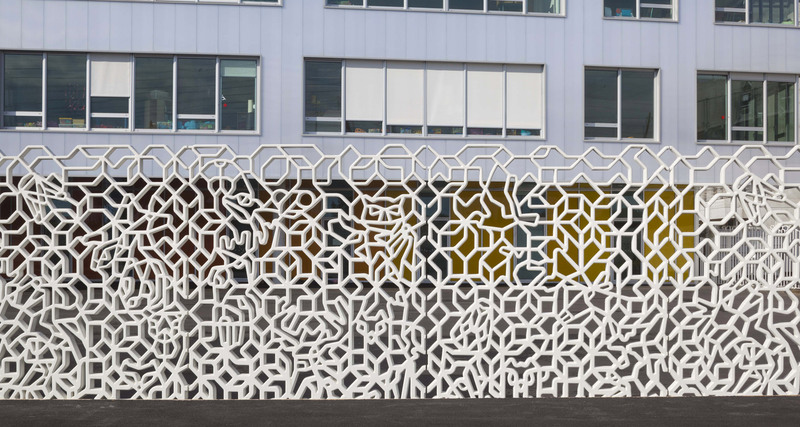 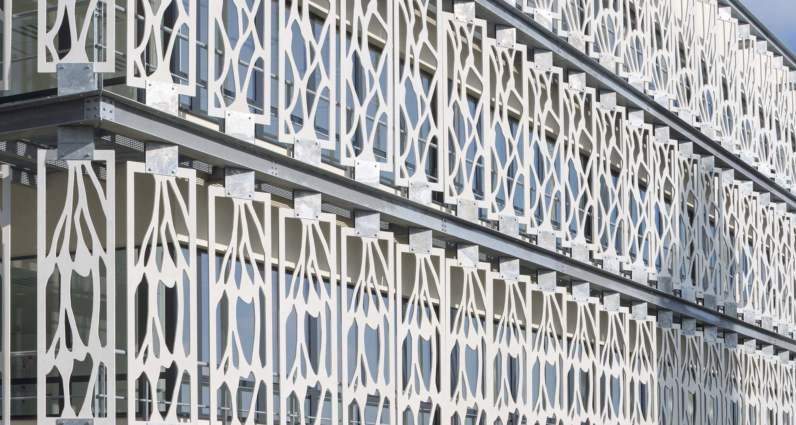 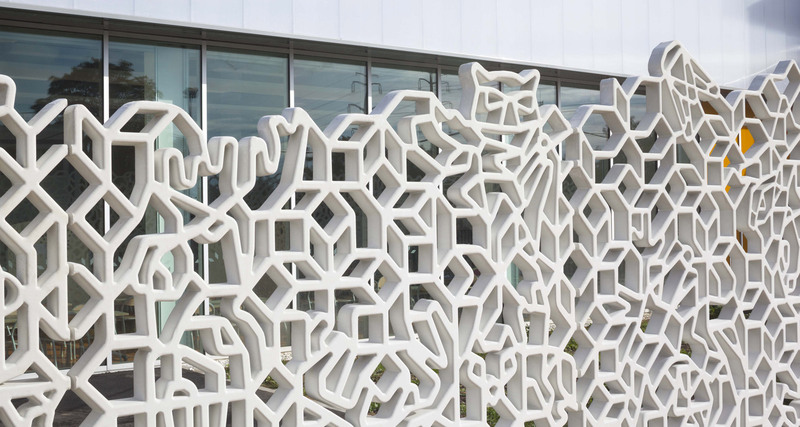 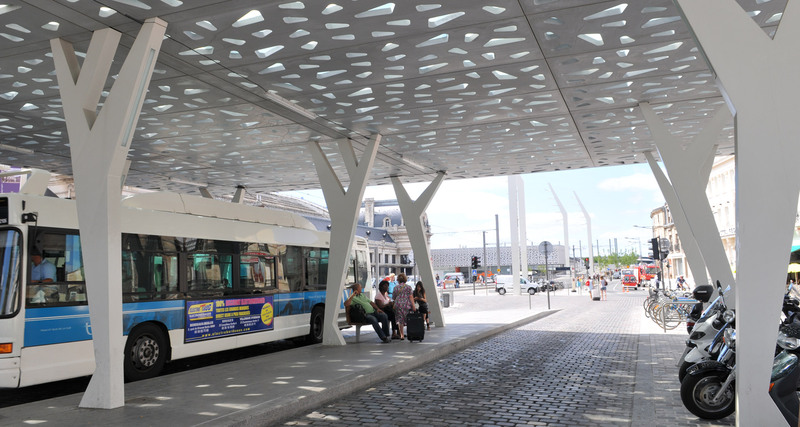 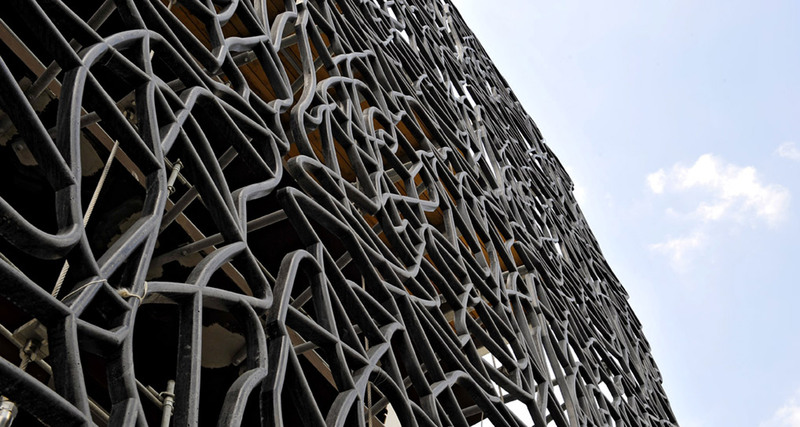 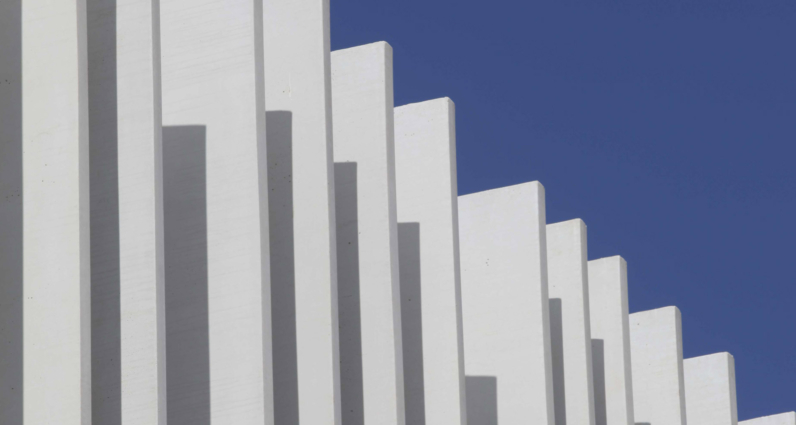 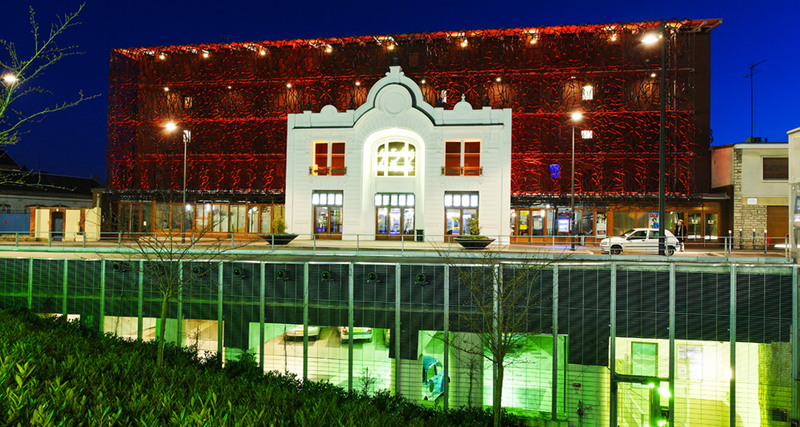 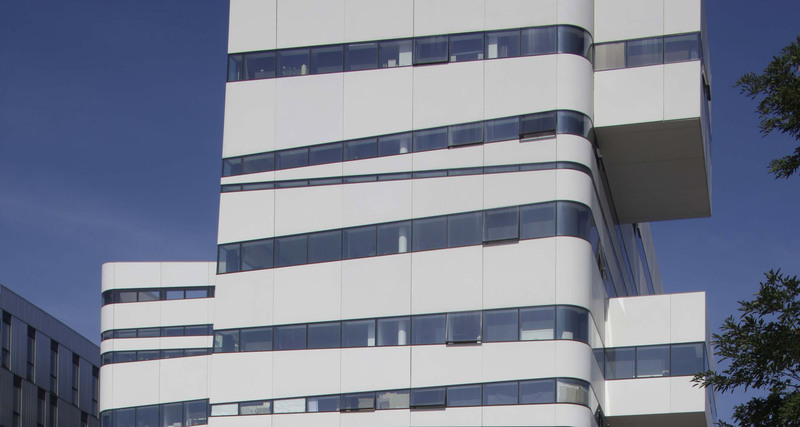 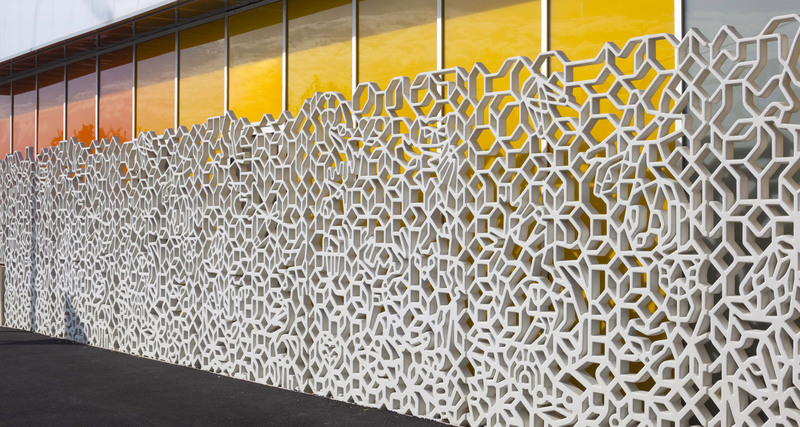 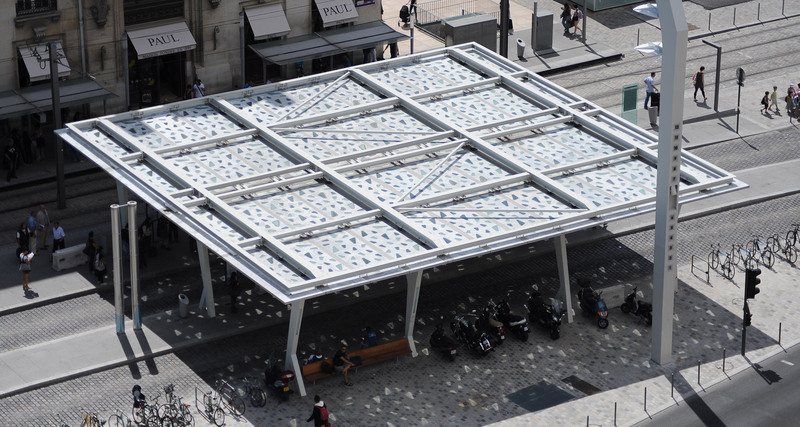 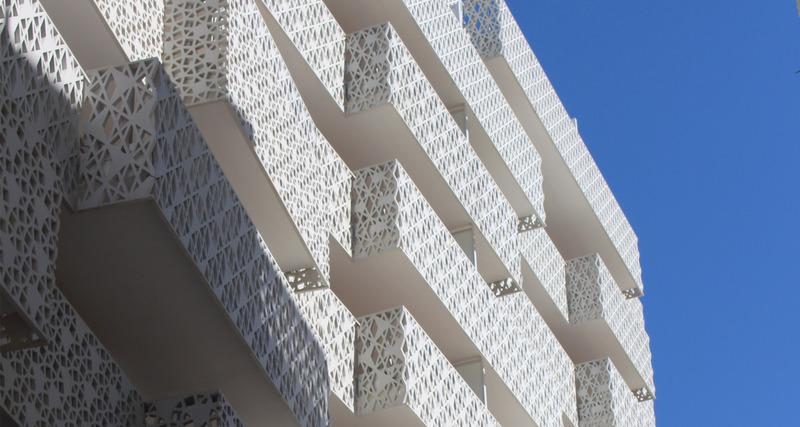 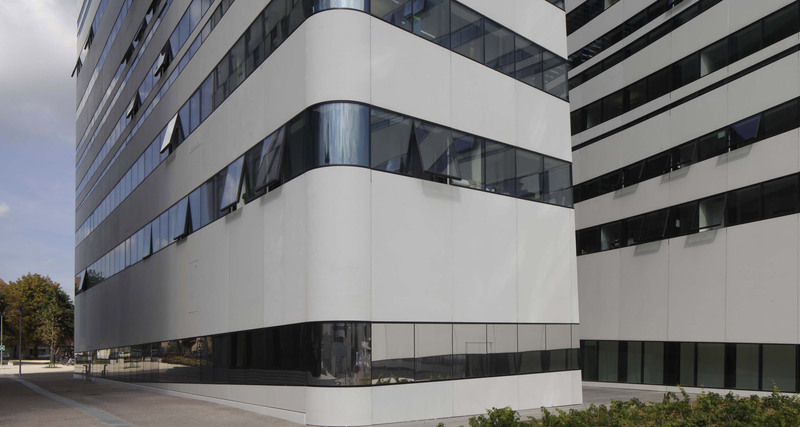 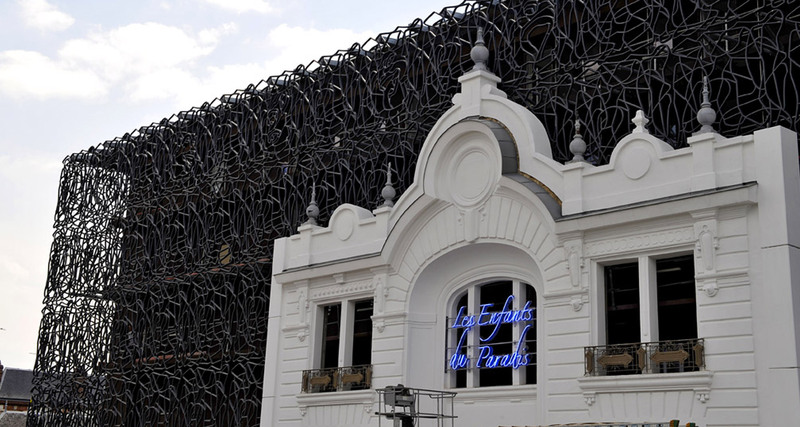 This facade is formed of 384 sunshades with 3 different patterns cast in white BSI® with synthetic fibres. 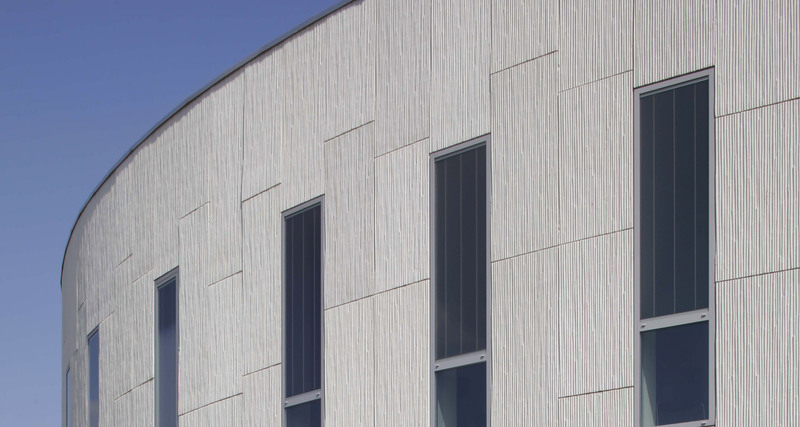 162 cladding panels, 2.20 x 1.60, minimum thickness 20mm. 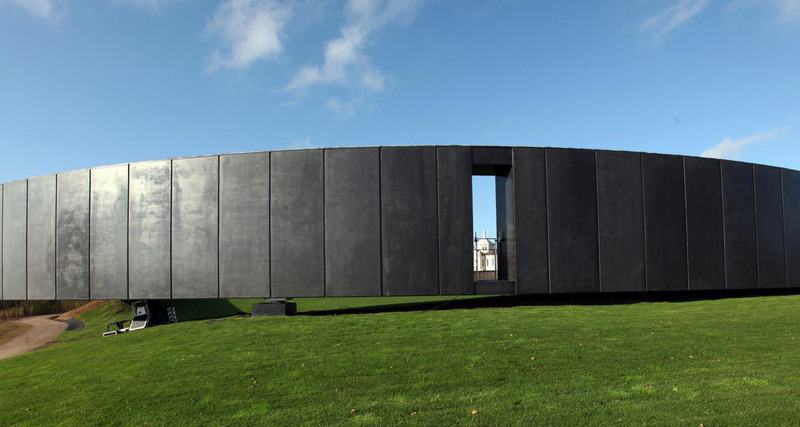 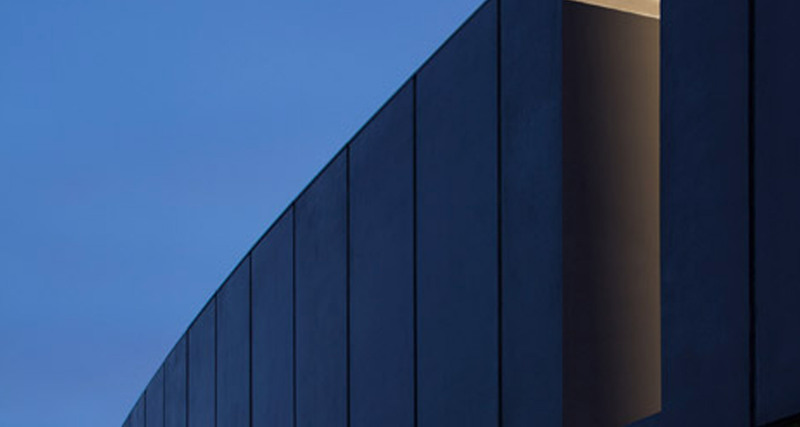 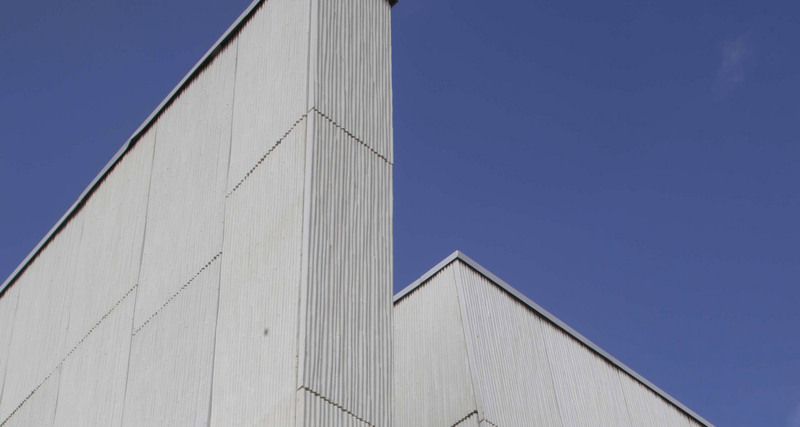 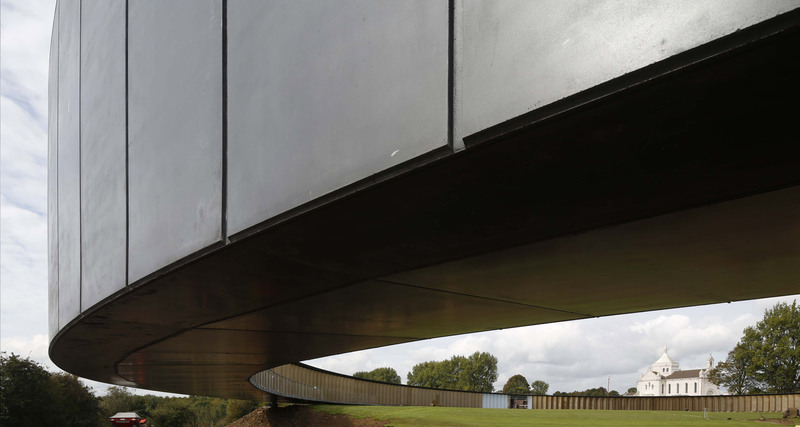 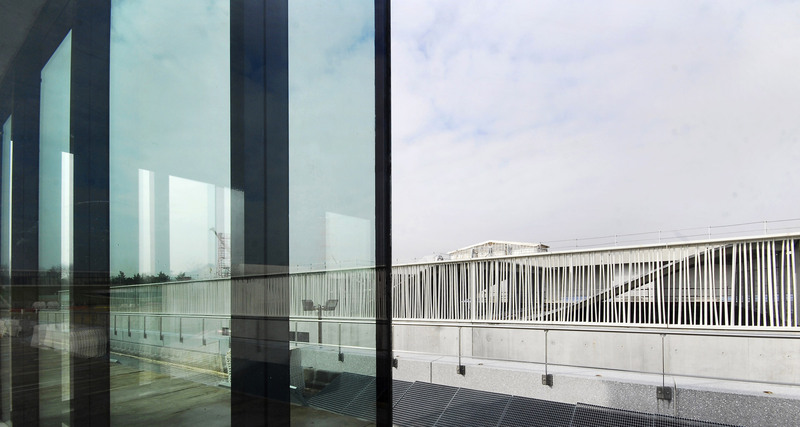 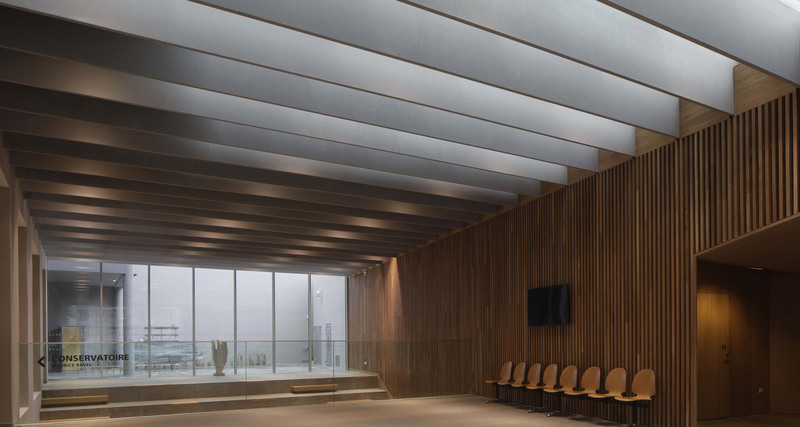 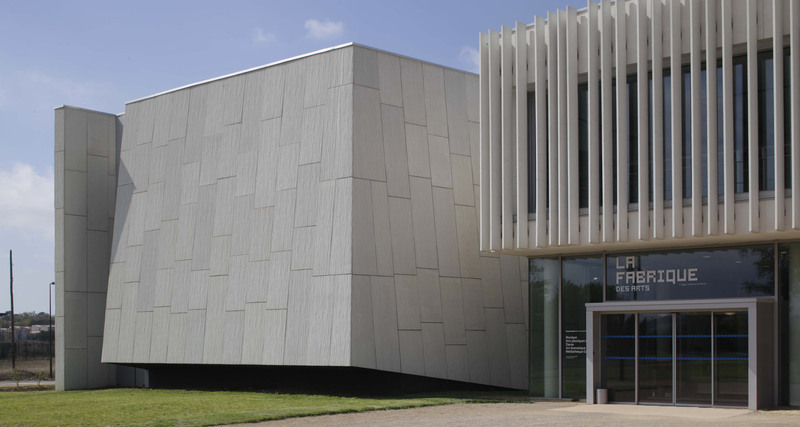 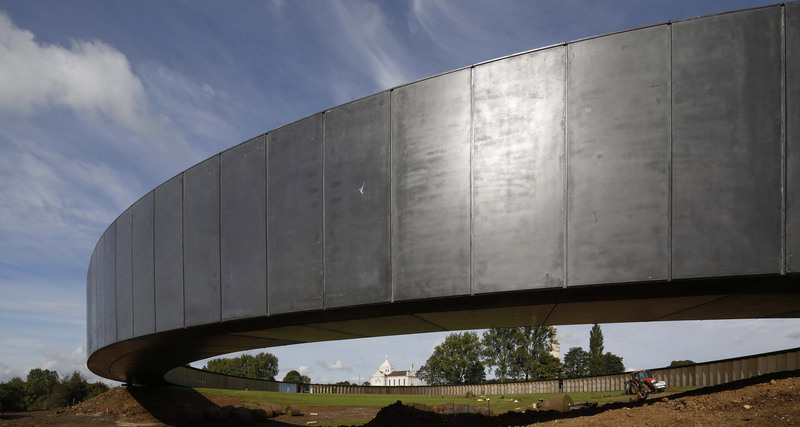 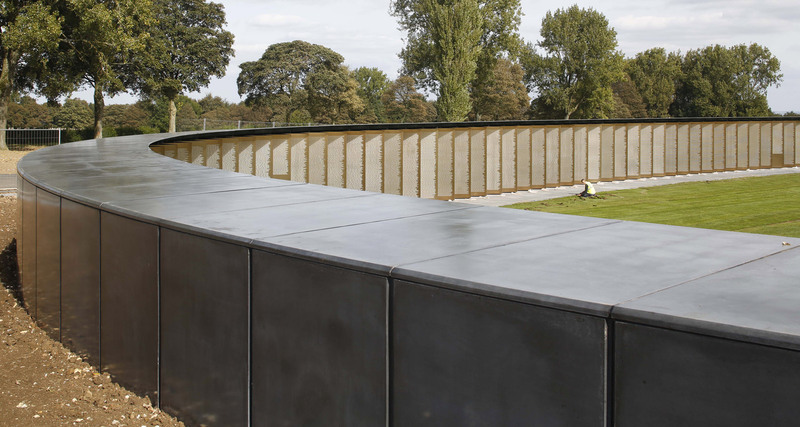 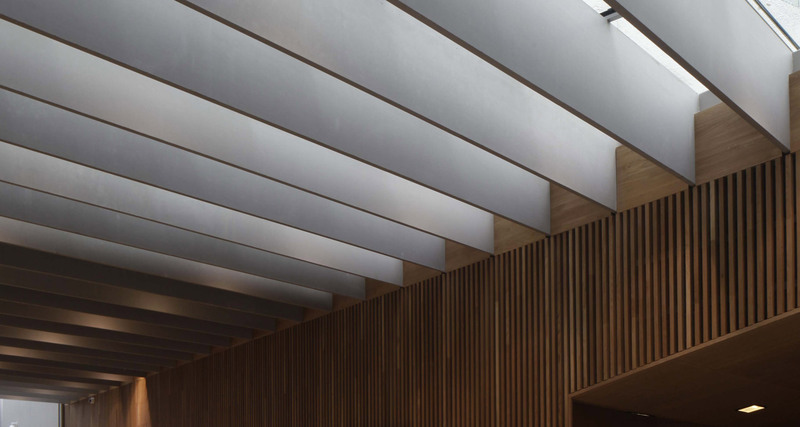 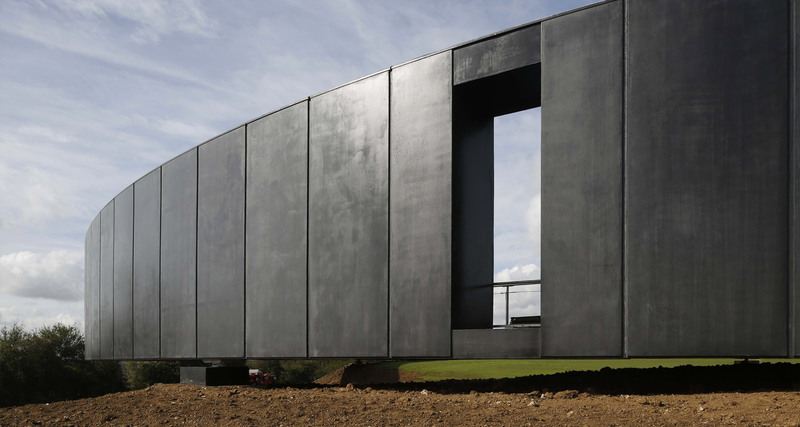 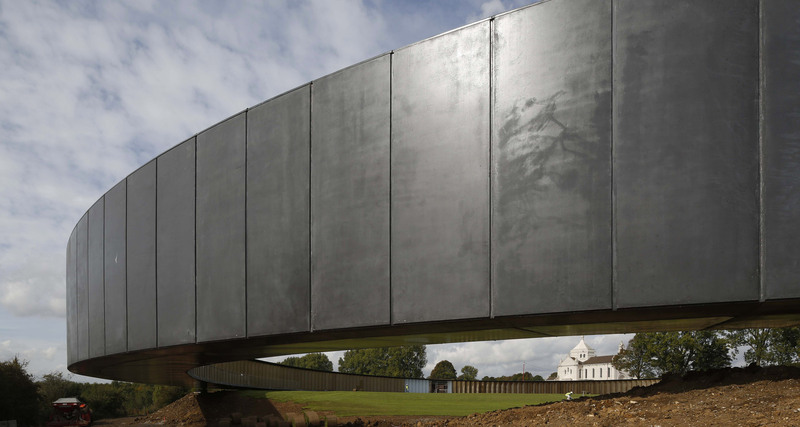 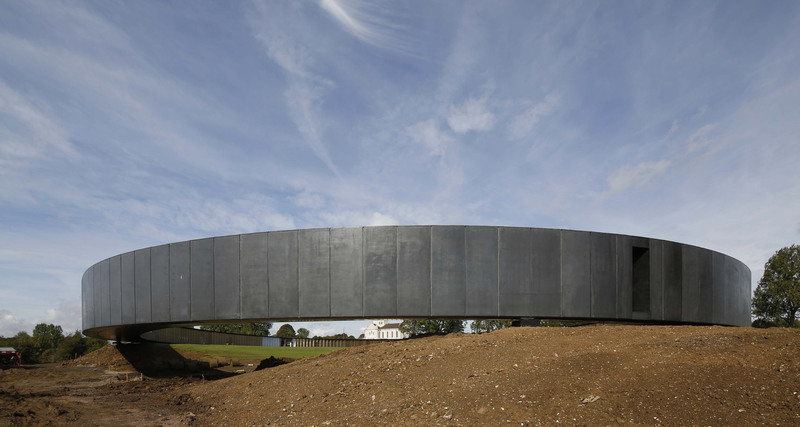 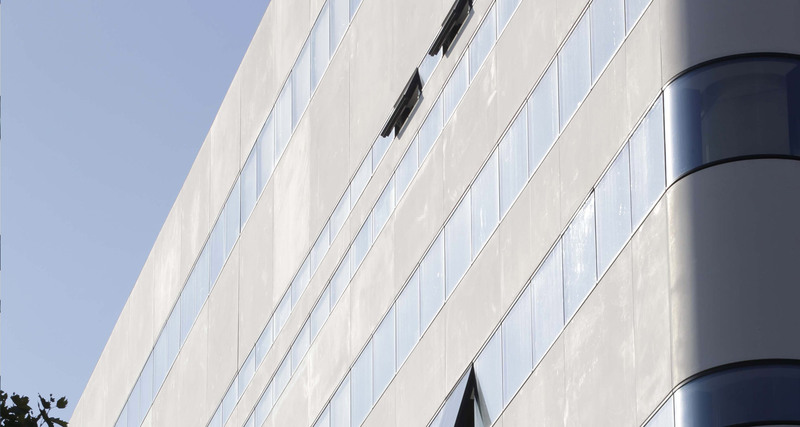 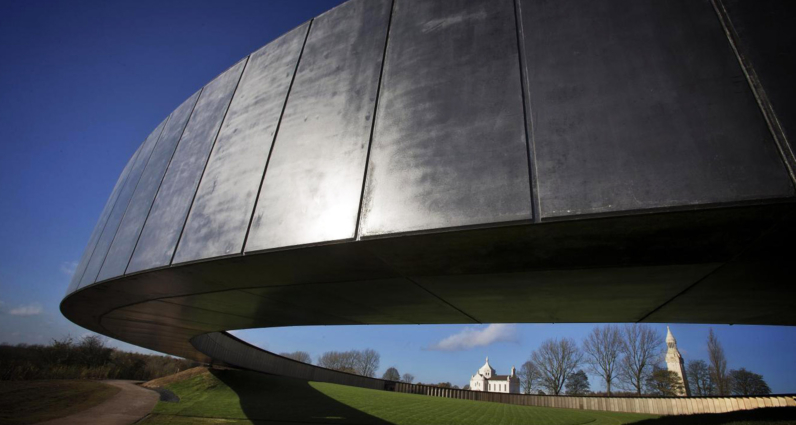 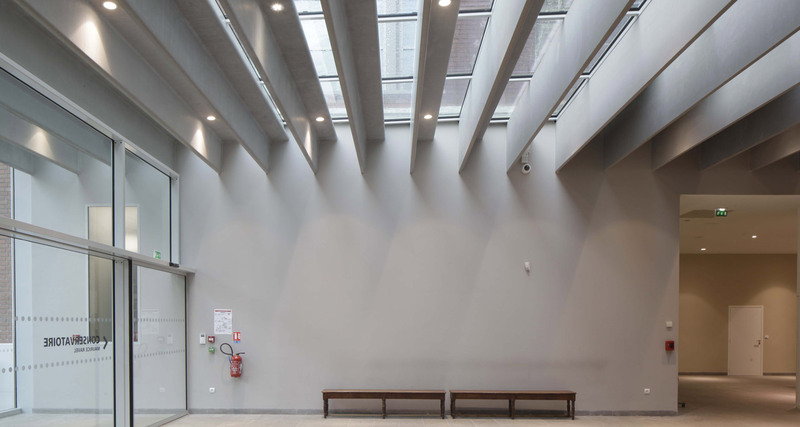 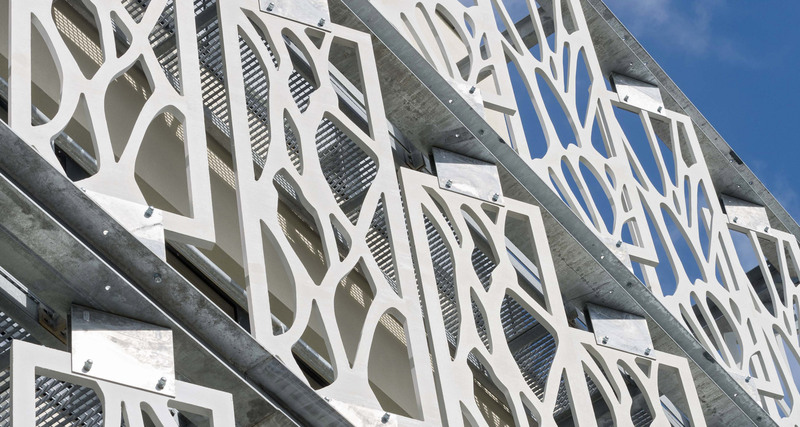 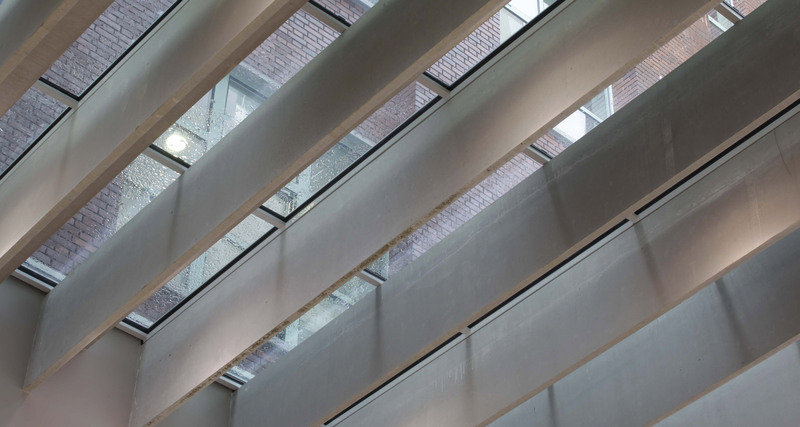 These facade panels in steel-fibre BSI®, positioned as a lining, were chosen in BSI® for their lightness and due to the possibility of colouring this concrete. 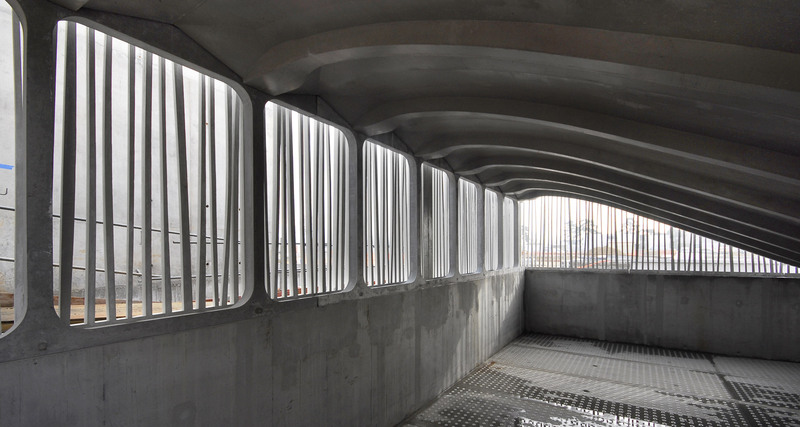 The waterproofing system and absence of reinforcing bars make possible the small 20mm thickness. 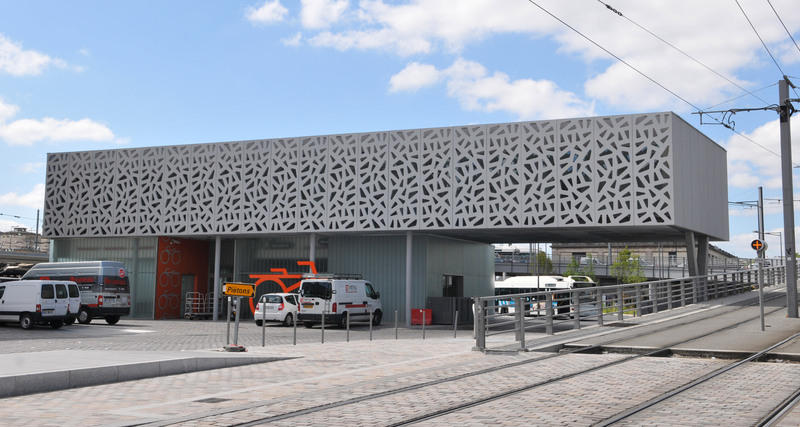 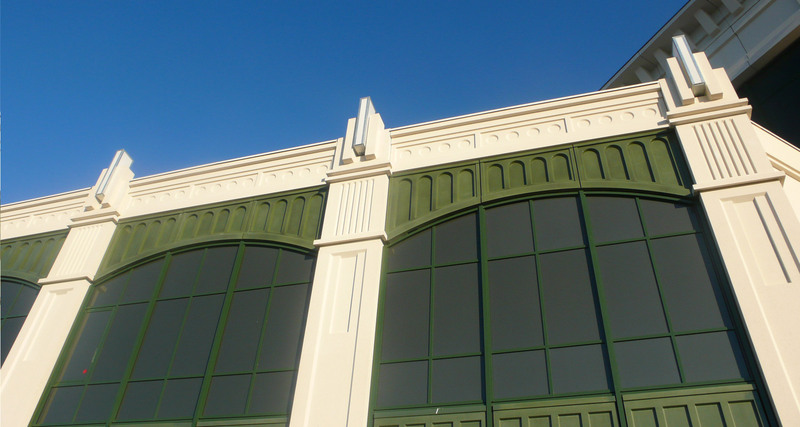 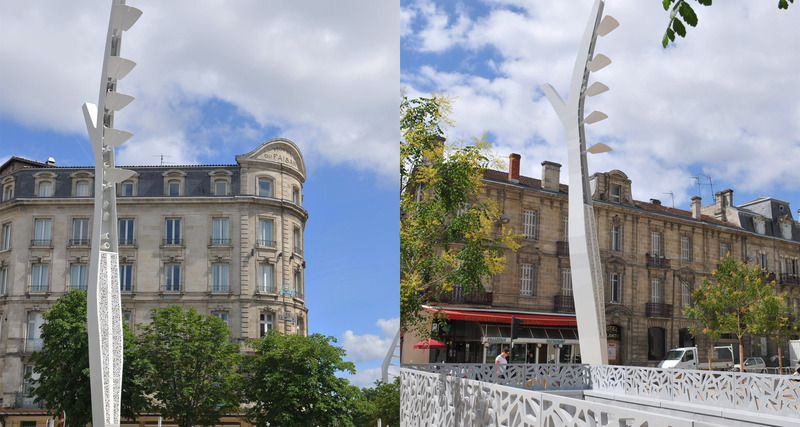 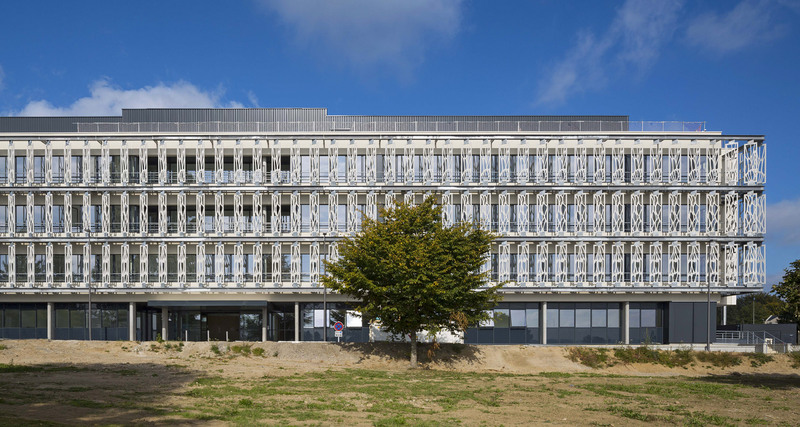 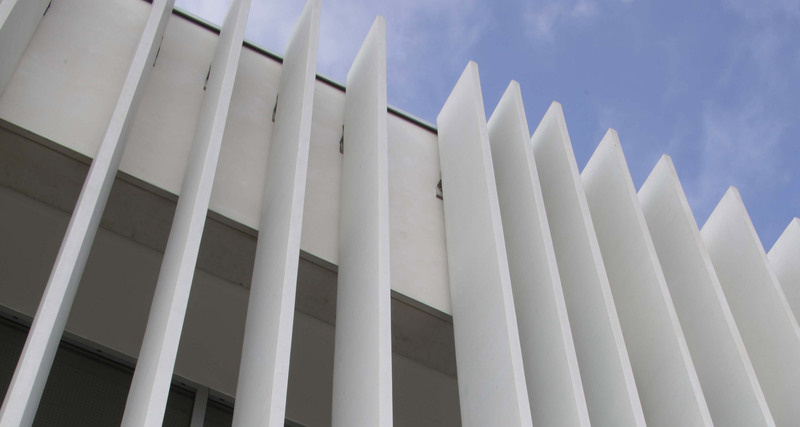 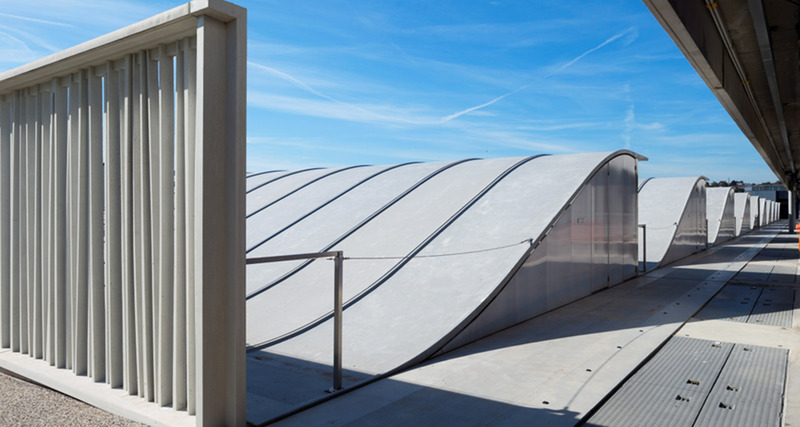 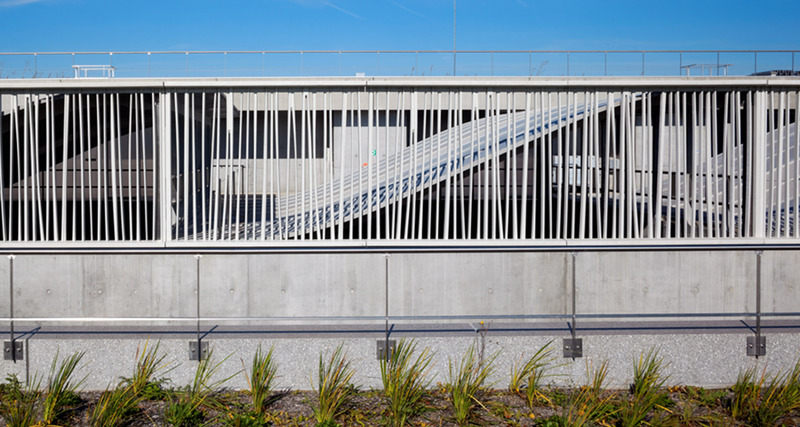 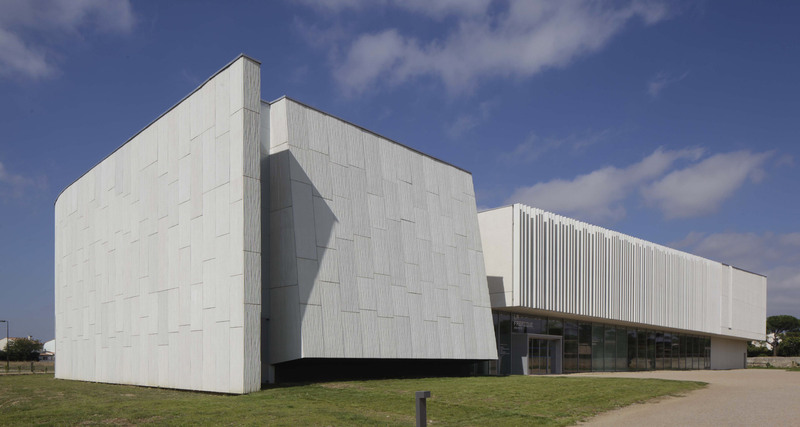 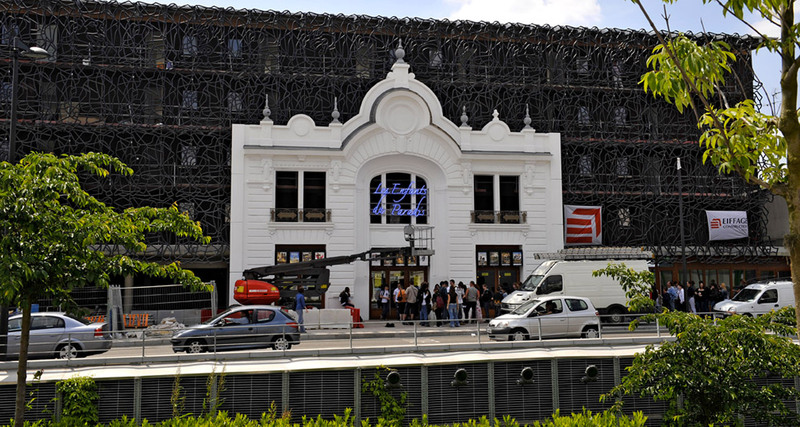 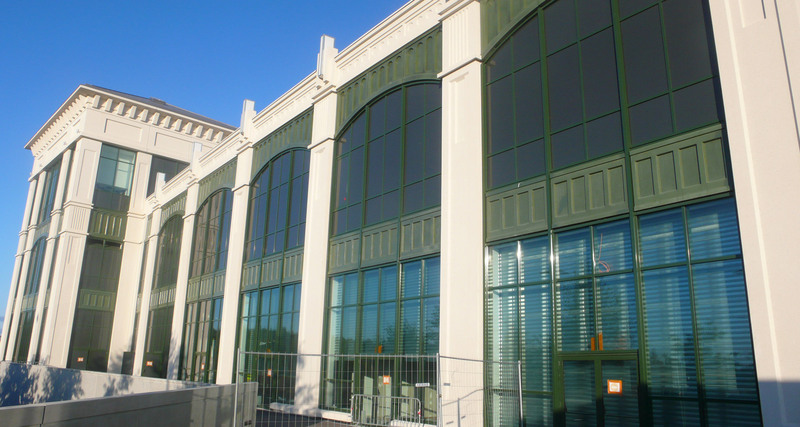 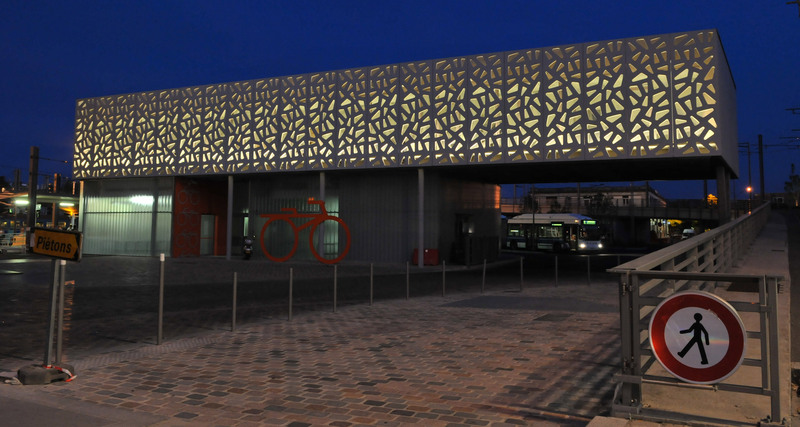 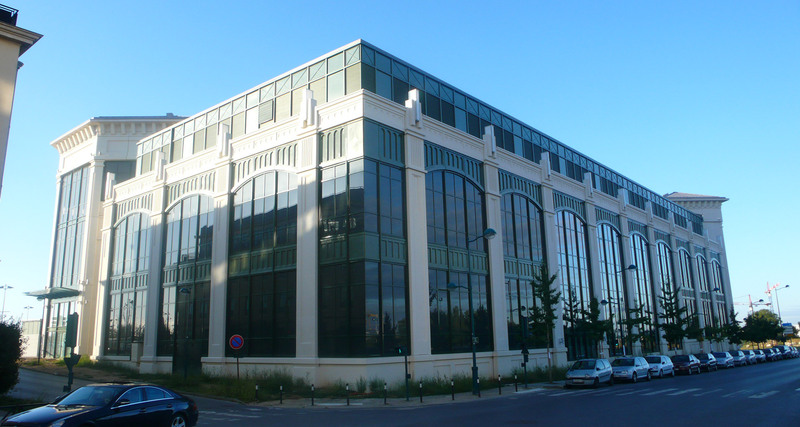 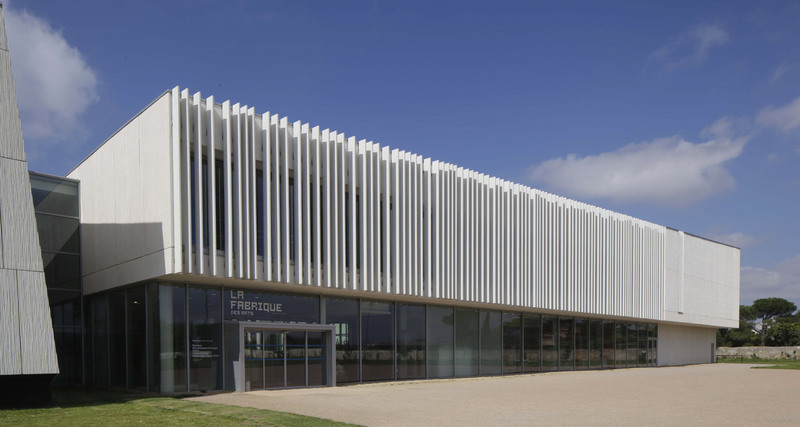 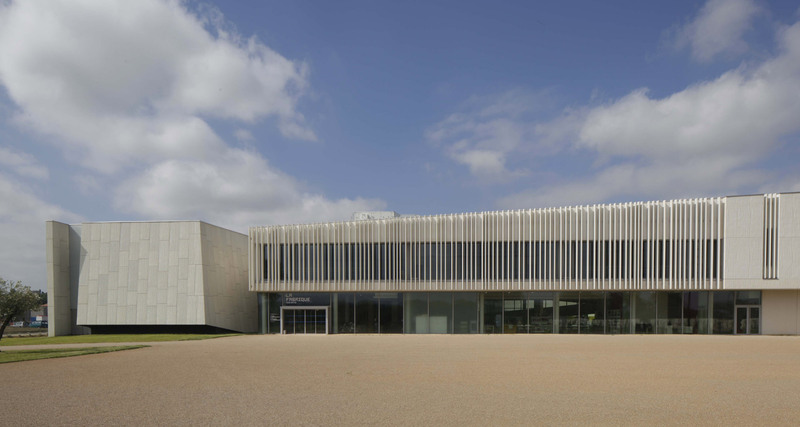 Production of 1,250m² of cladding sheets and 128 sunshades in white BSI® with synthetic fibres for the facade of Fabrique des Arts de Carcassonne. 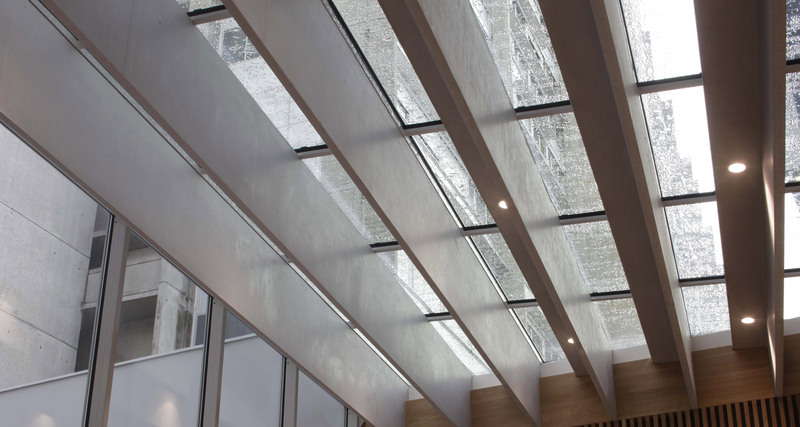 – sunshade 30cm wide, 45mm to 100mm thick and of variable length (7.22m to 5.35m). 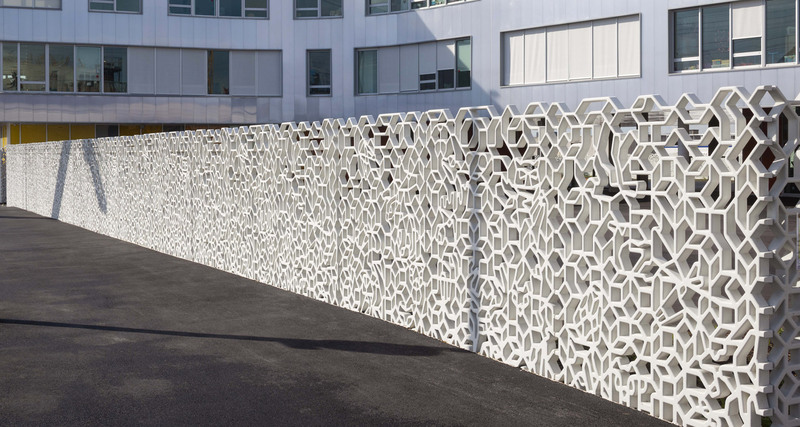 180 post-tensioning shells, shaped like a folded sail. 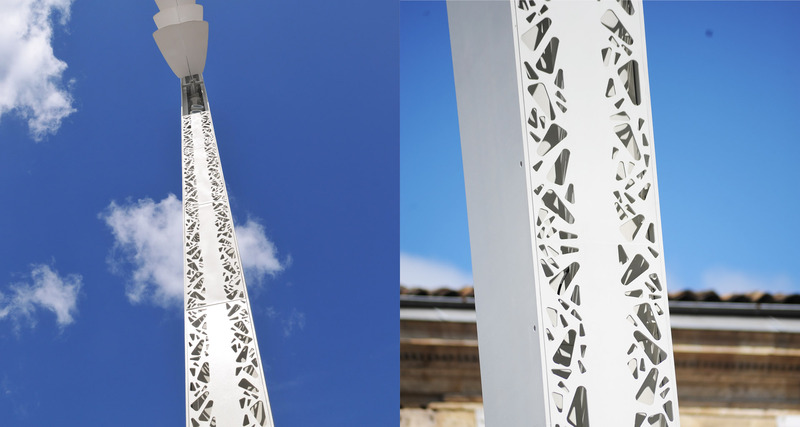 12.40 x 1.80 x 3.00m high. 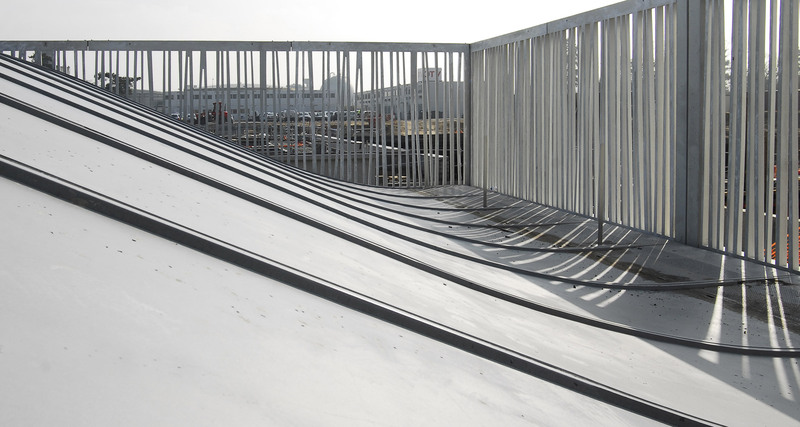 These shells in steel-fibre BSI®, 50mm thick, are used as covering materials for the treatment basins. 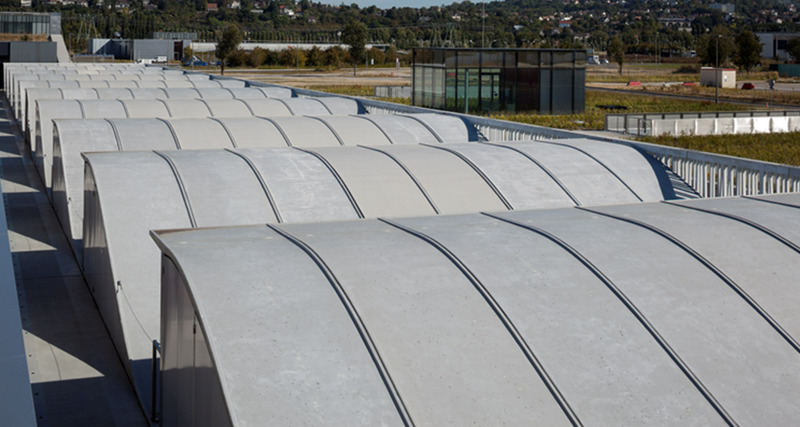 The BSI® material was chosen for its watertightness and its exceptional resistance to the aggressive agents emitted by the waters contained in these basins. 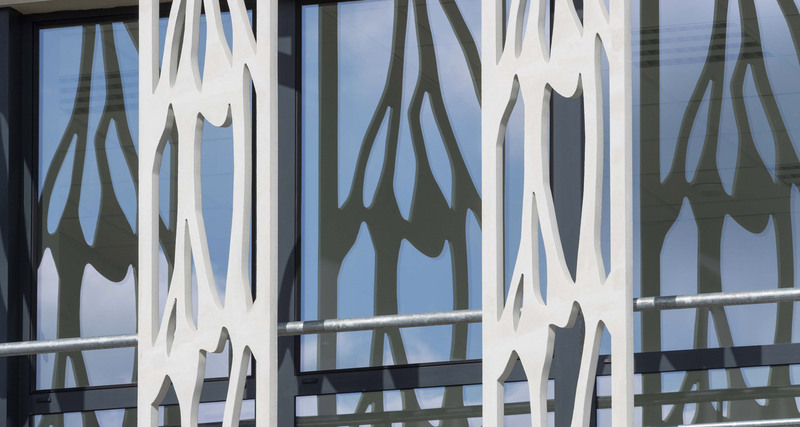 70 thin lattices, 3.50 x 3.20 (minimum thickness 25mm). 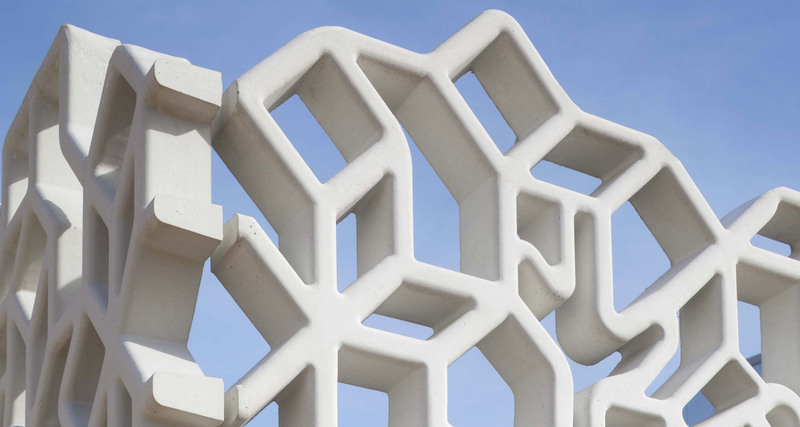 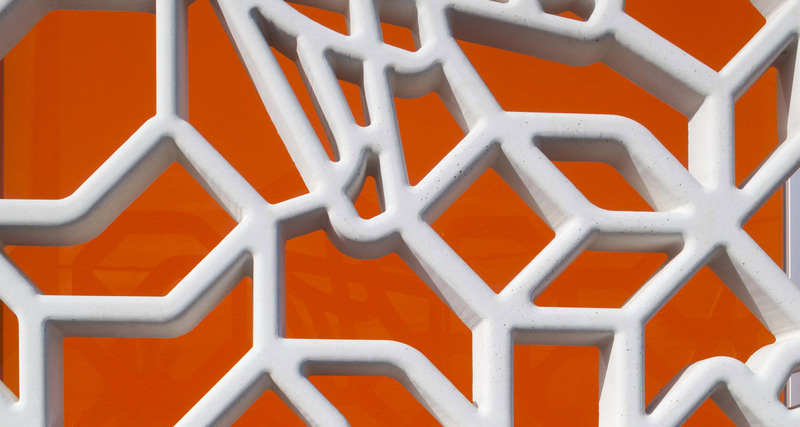 These lattices are produced in white steel-fibre BSI®. 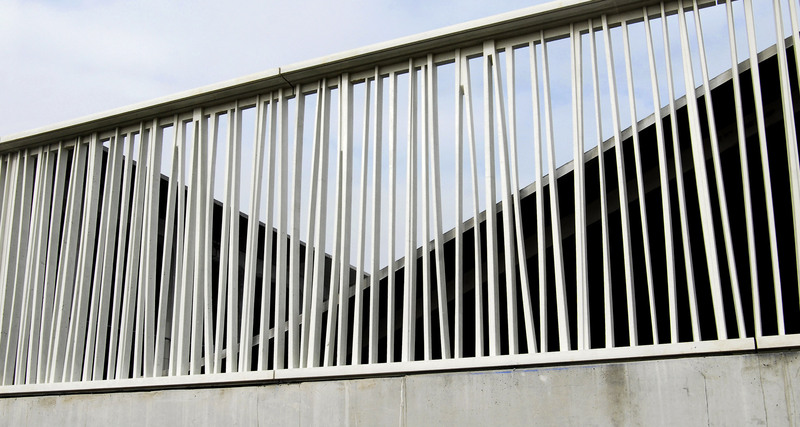 The BSI® makes it possible to do without reinforcing bars, and provides complete resistance to an aggressive environment. 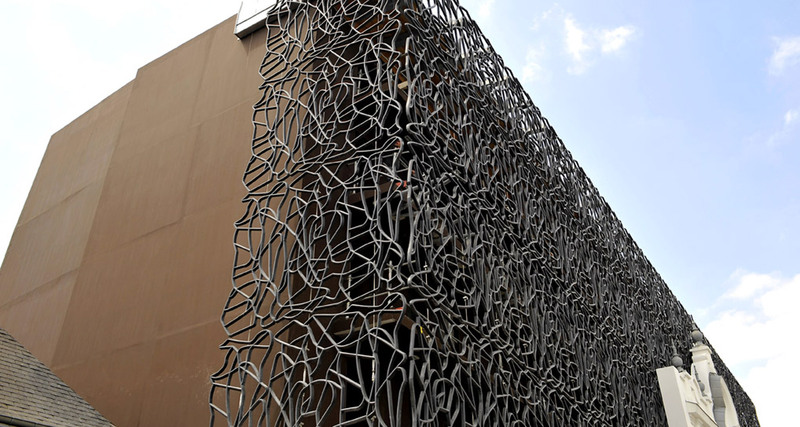 80 support frames, 3.00 x 2.40. 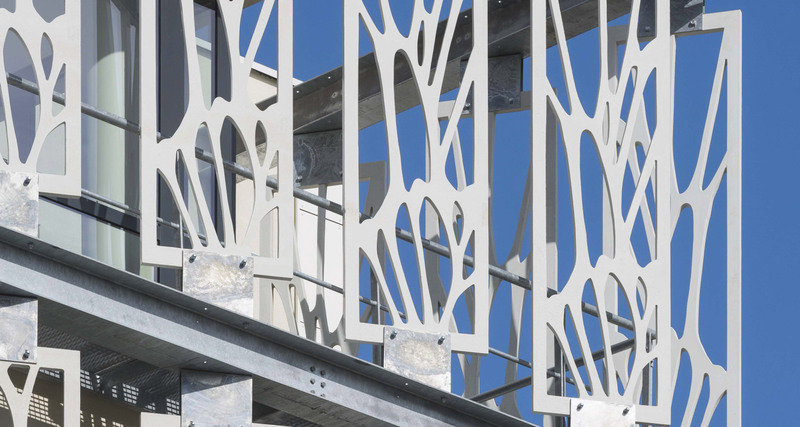 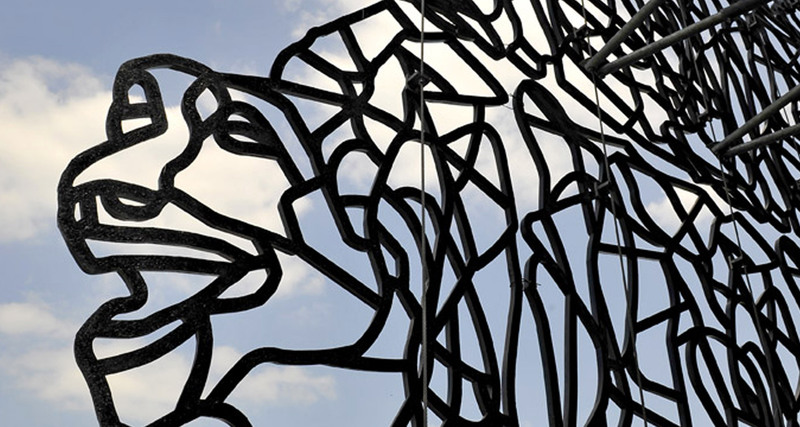 These frames in steel-fibre BSI® bear the shells. 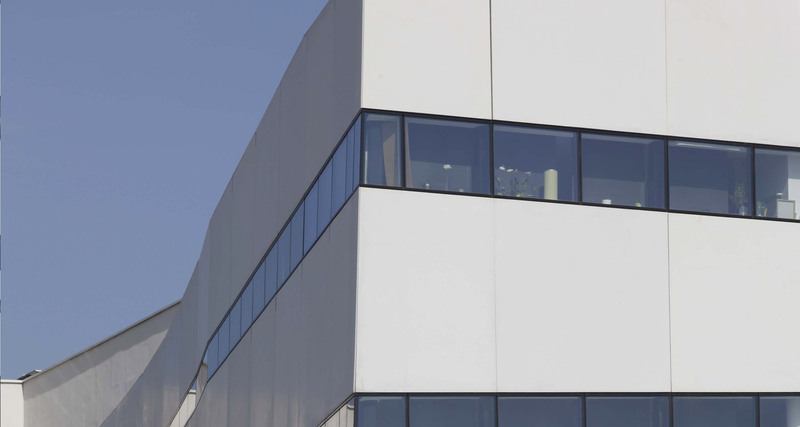 The use of BSI® makes it possible to reduce the dimensions of these elements.